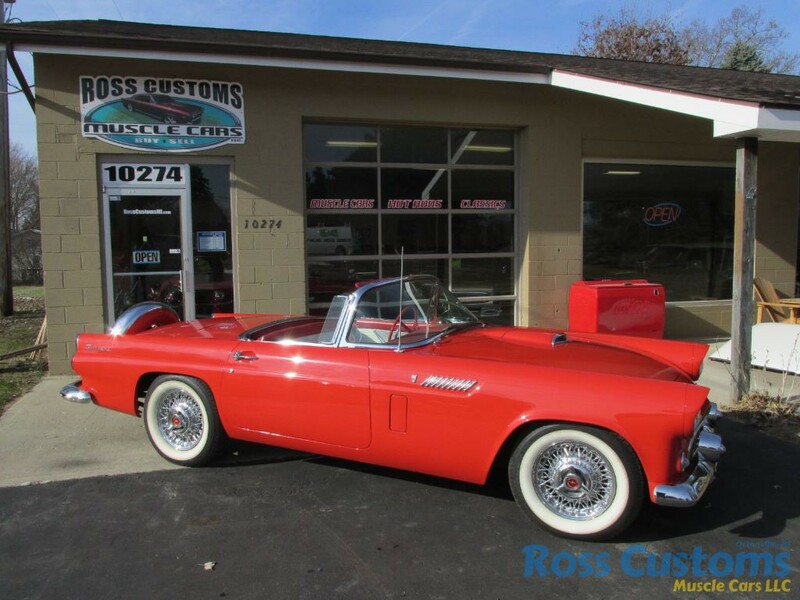 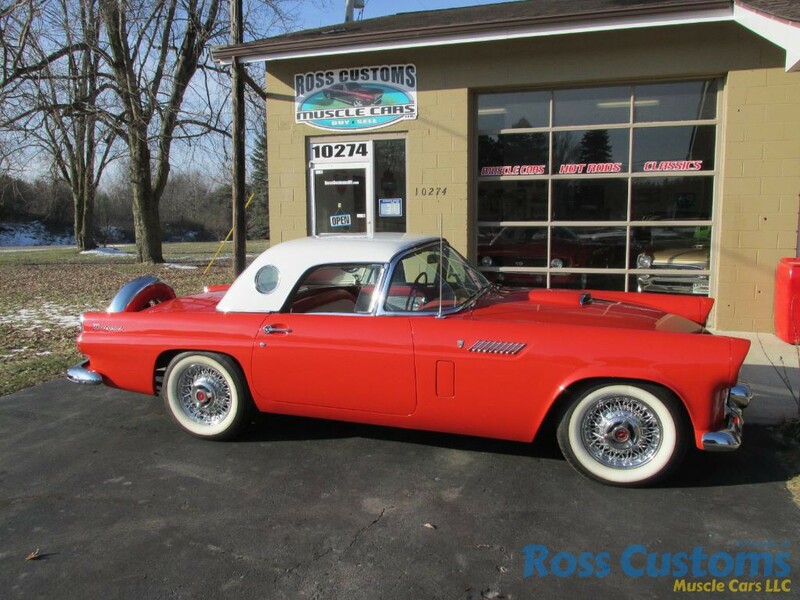 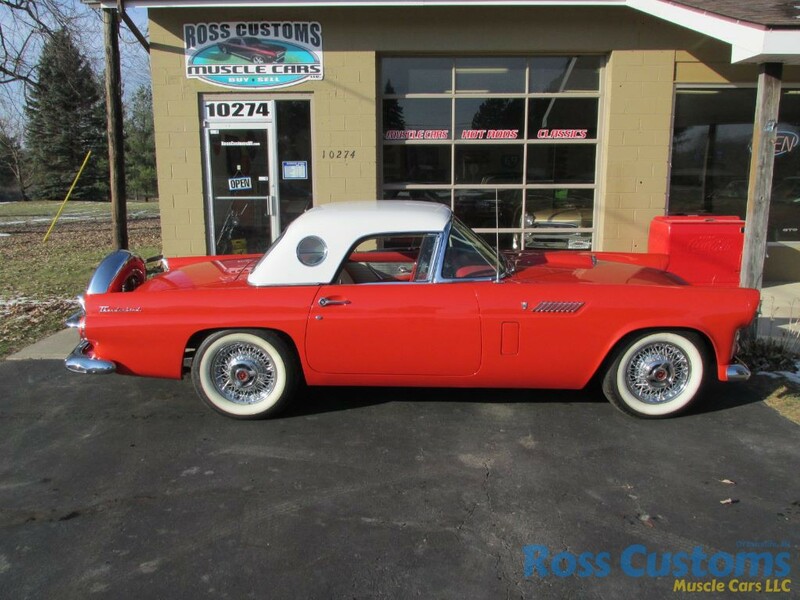 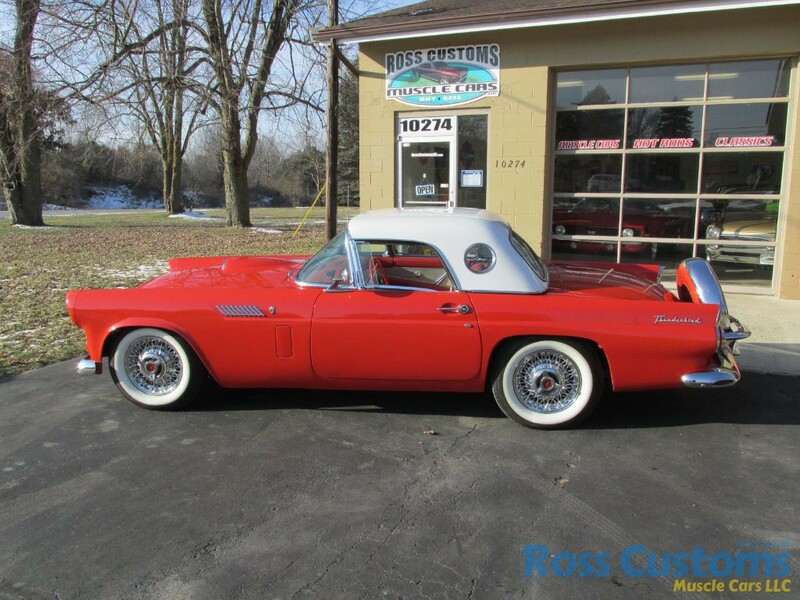 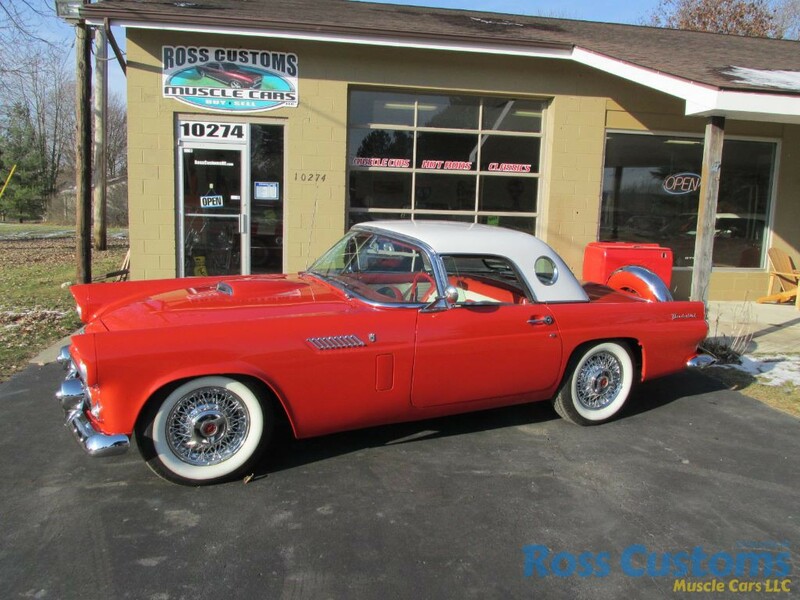 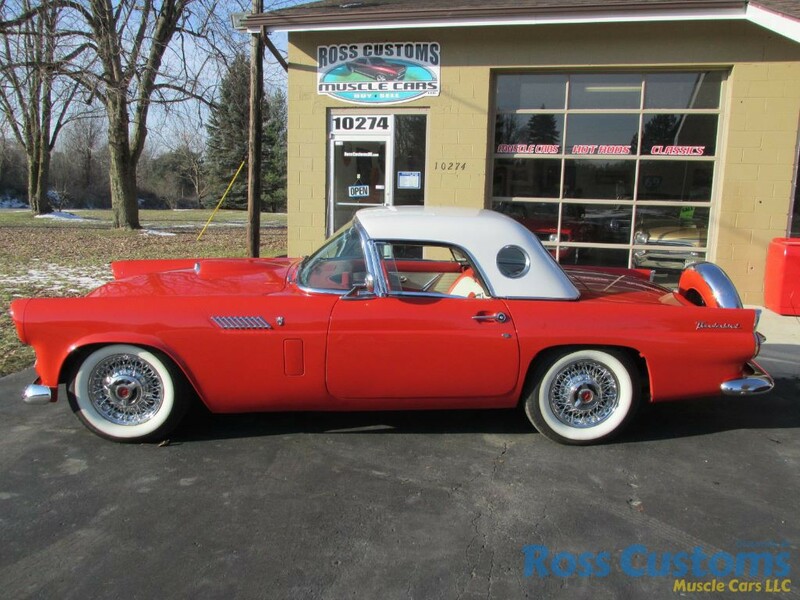 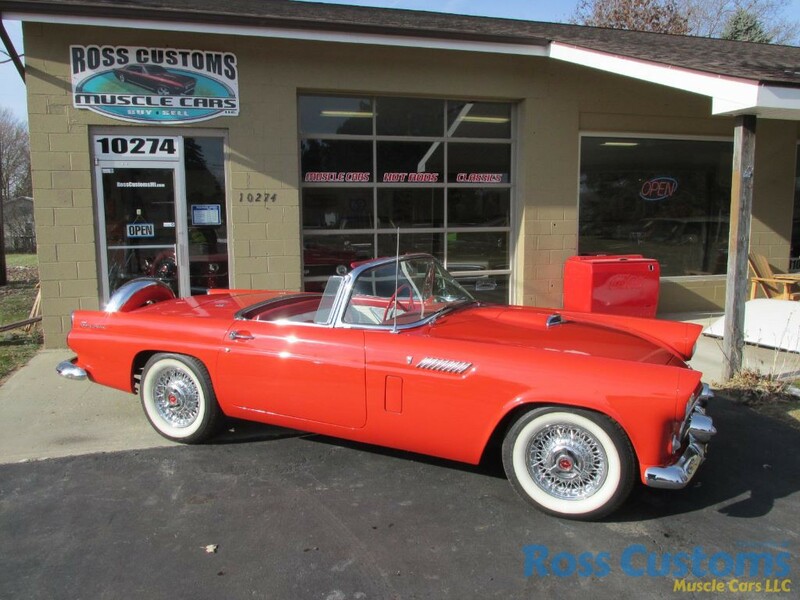 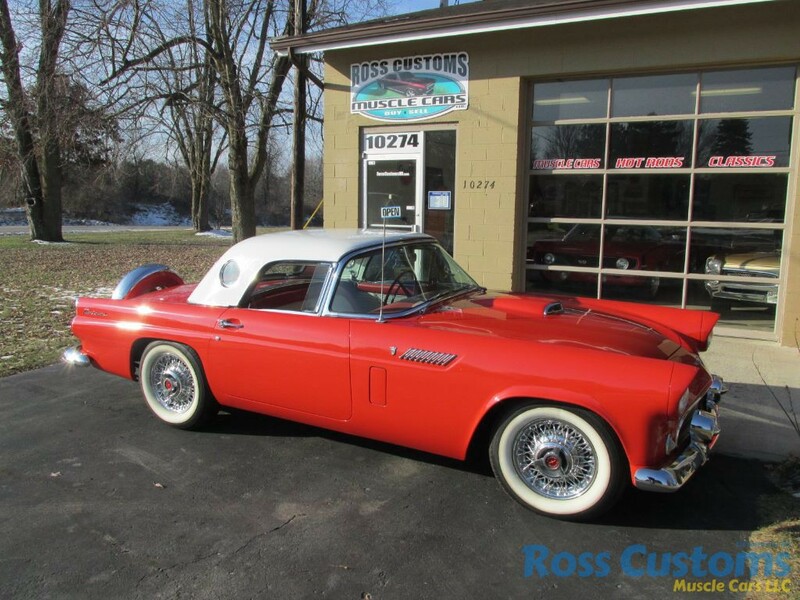 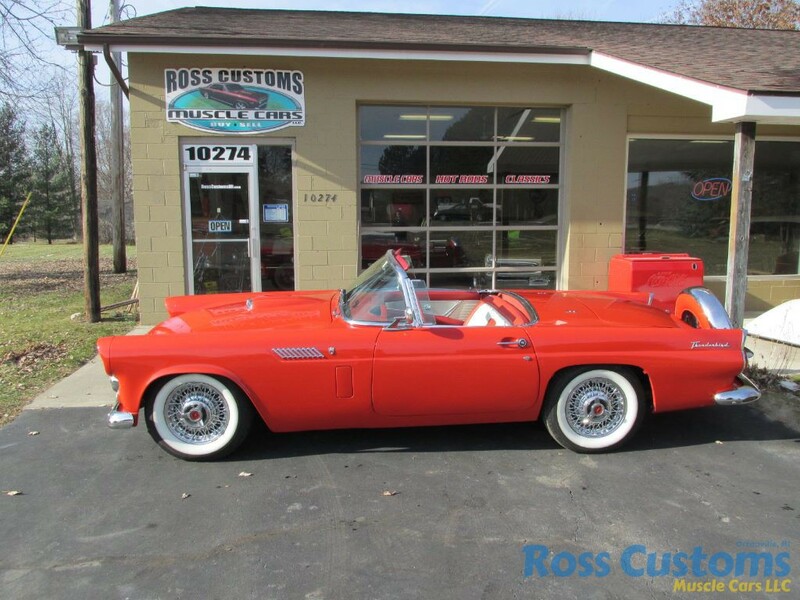 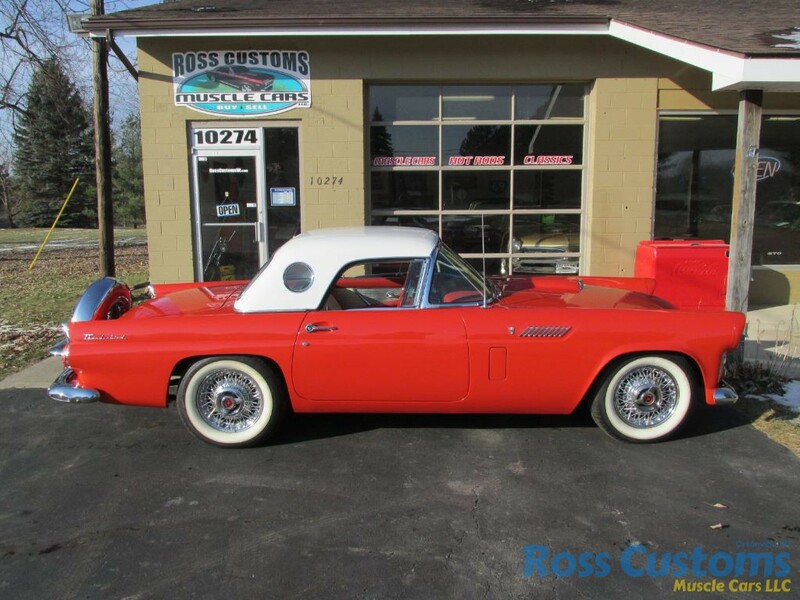 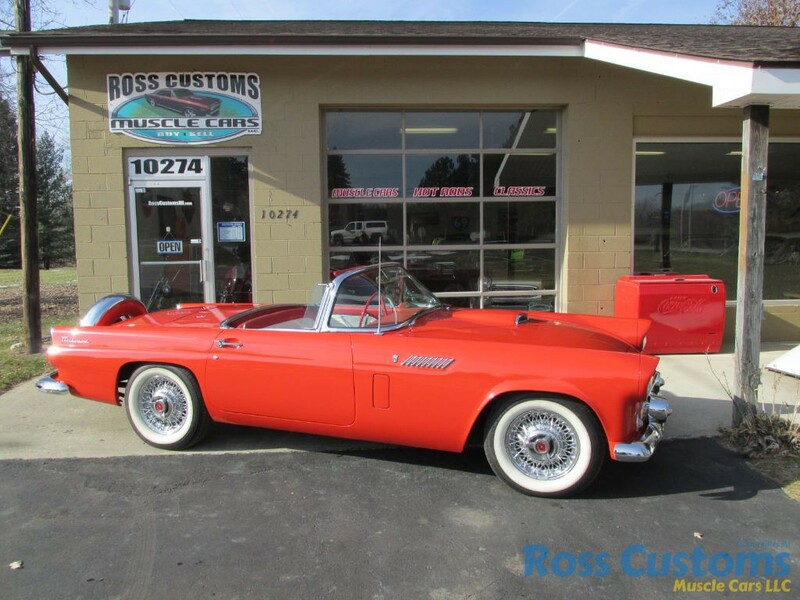 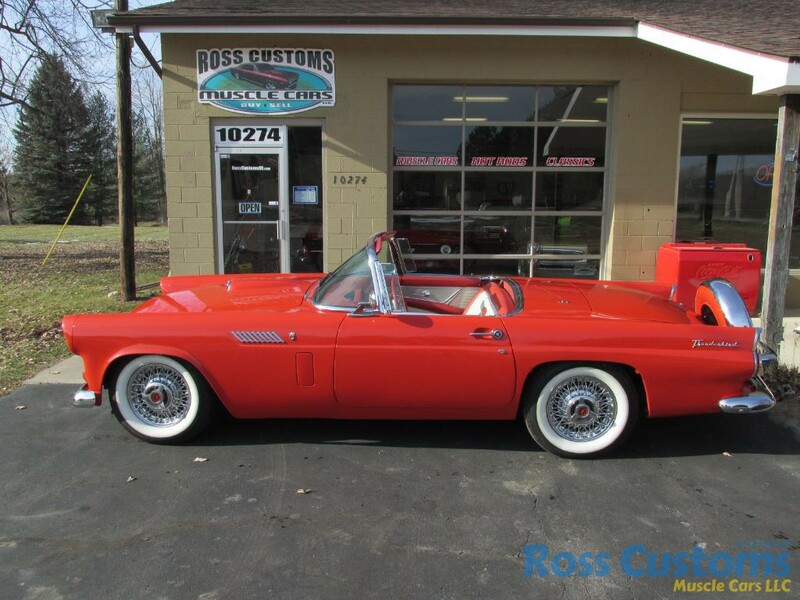 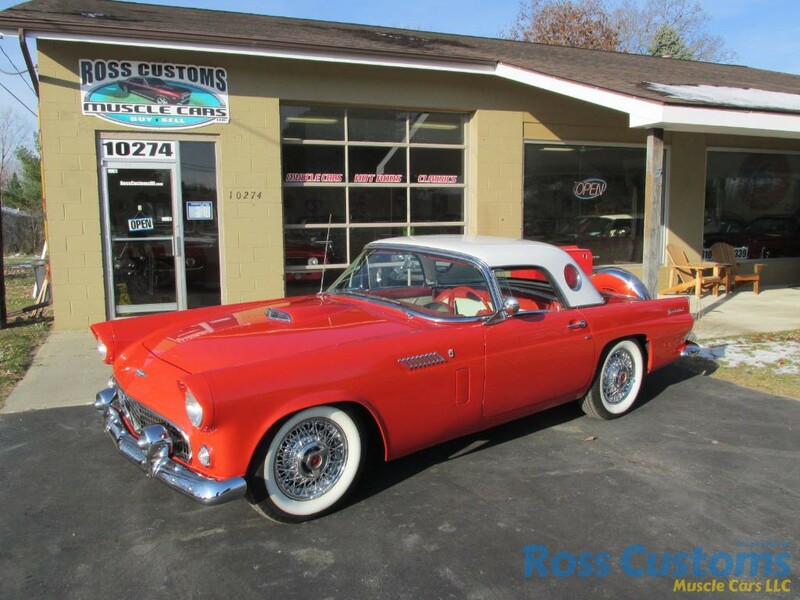 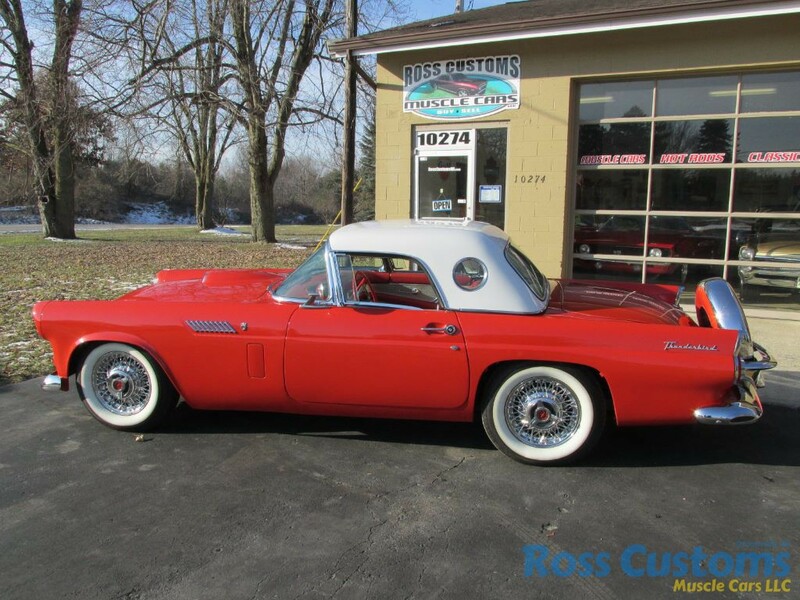 This is an “ABSOLUTELY GORGEOUS” 56 Thunderbird. 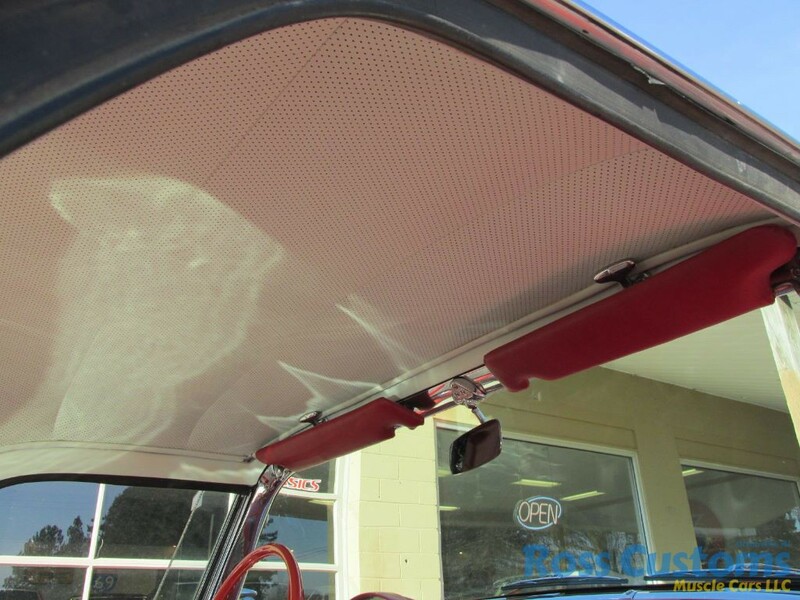 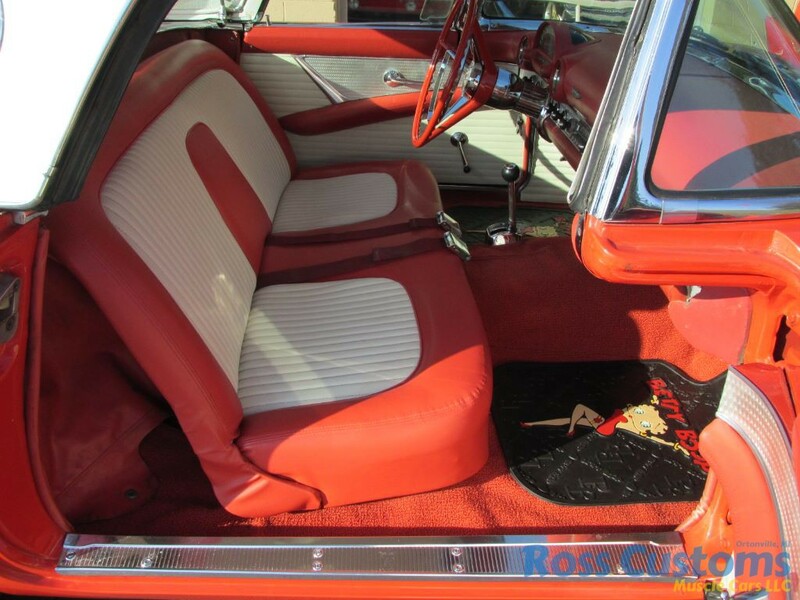 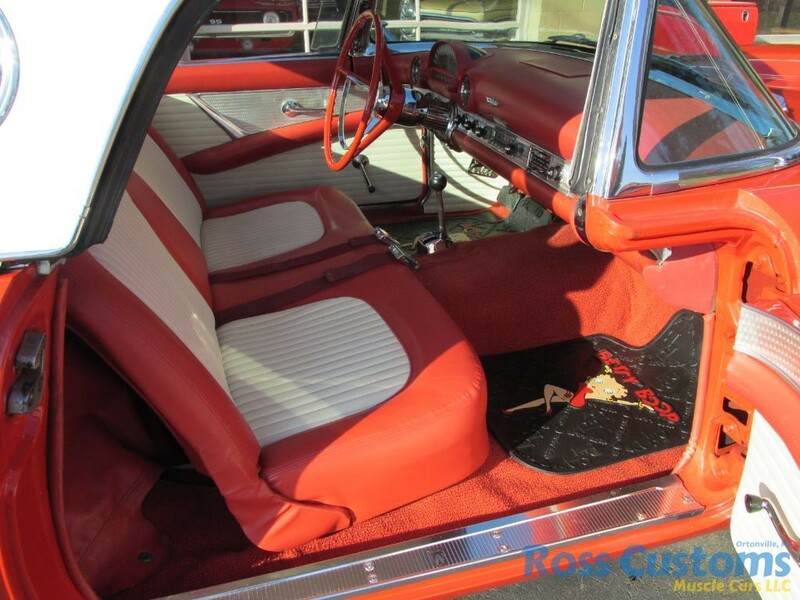 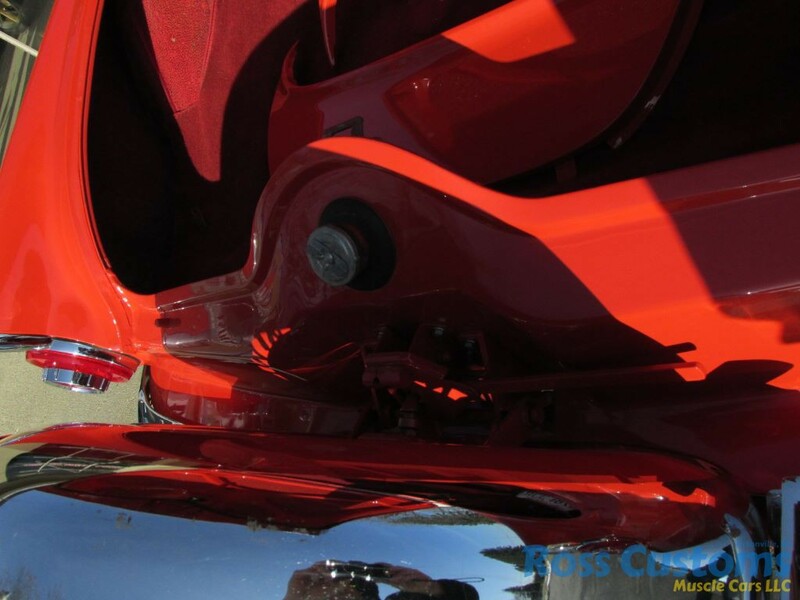 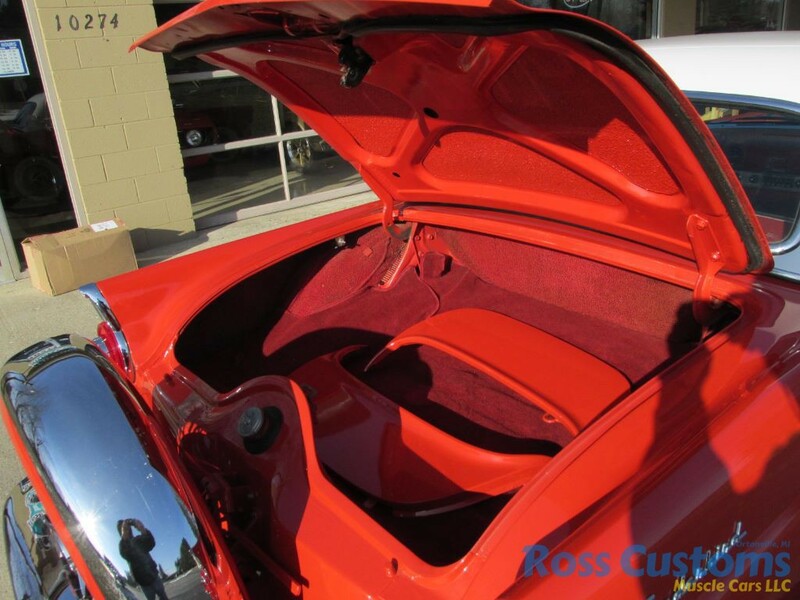 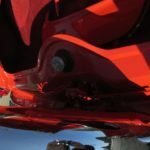 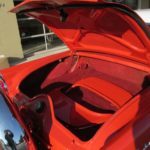 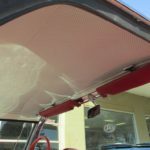 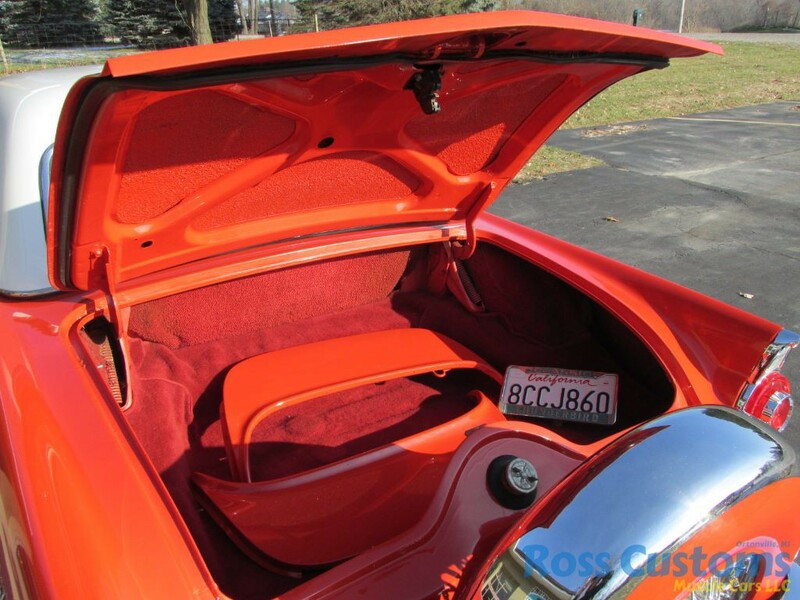 This clean California car, retains its original body panels and floors, has bad a professional repaint its original color Fiesta Red which has been sanded and wheeled smooth slick as glass, removeable white hard top with portholes, new weather stripping, new tinted windshield and rubber, new side view mirror, new door handles, new tail light housings, re-chromed front bumper and bumper guards, parking light housing have also been replaced, grill and grill moldings look like new, hood scoop grill has also been replaced, has optional Continental package with matching wire wheel and white wall tire, rear bumper has also be re-chromed – all other chrome and stainless is original in excellent condition. 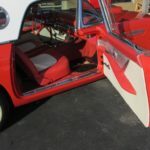 It has factory Fiesta red and white interior, original dash in excellent condition (speedo lens has some crazing from the California sun), factory radio, original steering wheel in excellent condition, new sun visors, headliner is original in good condition, re-upholstered seat, updated with seat belts, lower door panels appear to be new, upper are original, new carpet, Betty Boop floormats, new sill plates. 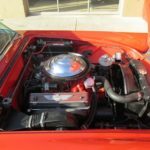 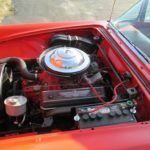 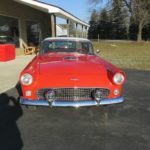 Under the hood we have the original #’s matching 312 225 horse, factory 4 barrel which has been rebuilt, factory original 4 barrel breather with chrome lid, factory original Ford Thunderbird aluminum valve covers, factory power steering, new belts and hoses, heavy duty radiator with shroud, suspension and brake system has been gone through, factory exhaust manifolds into dual exhaust out the back, this strong running 312 is backed up with its original Fordomatic automatic transmission. 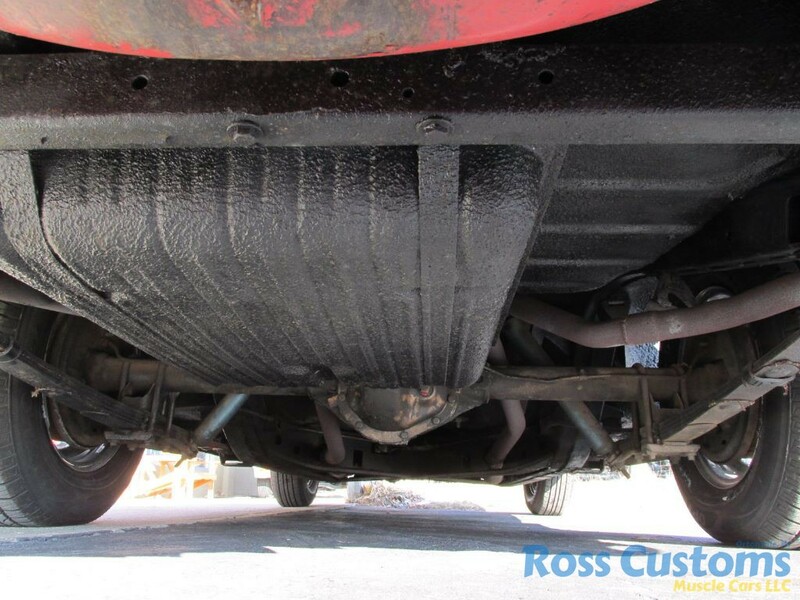 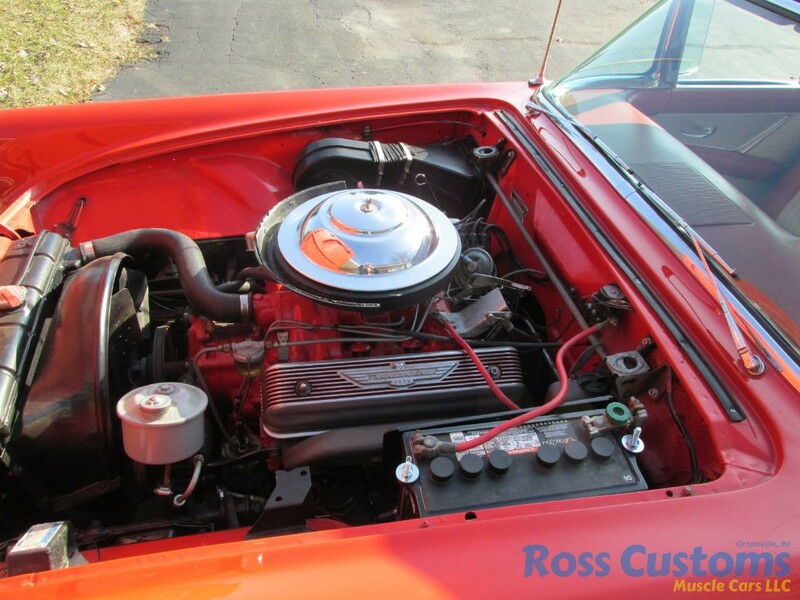 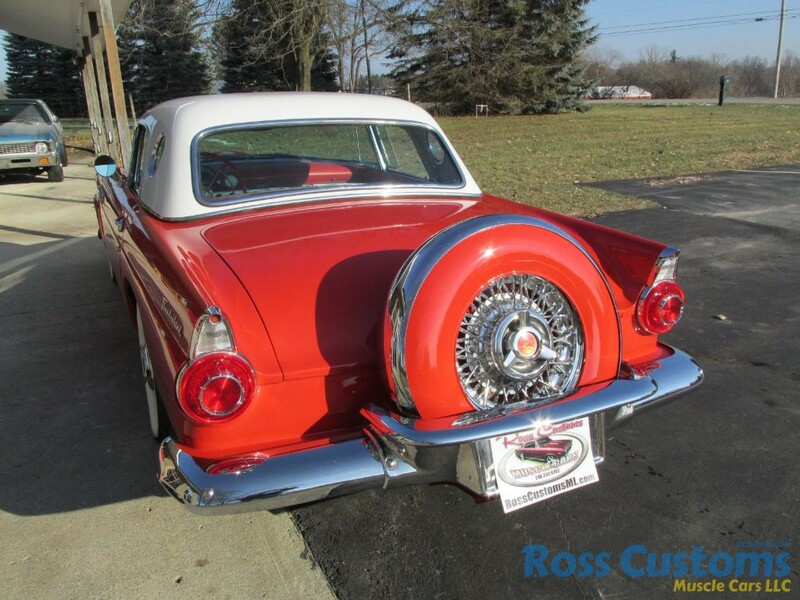 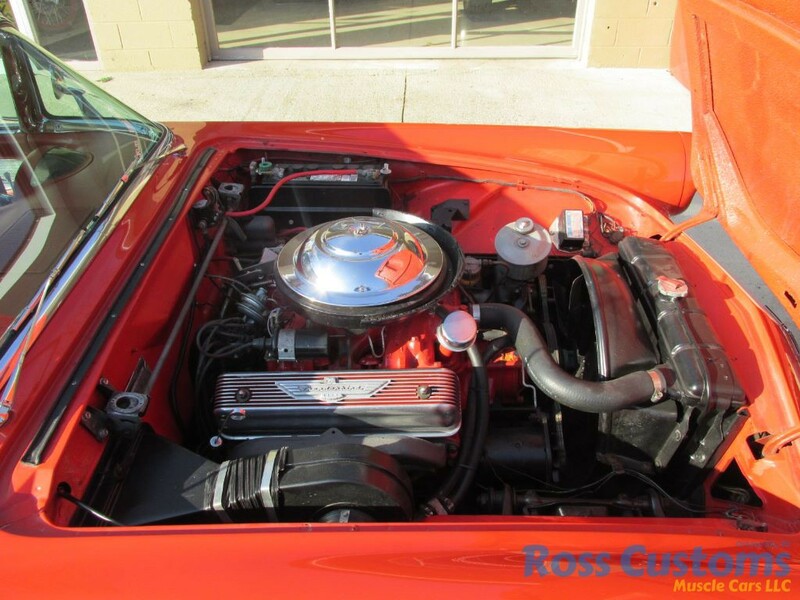 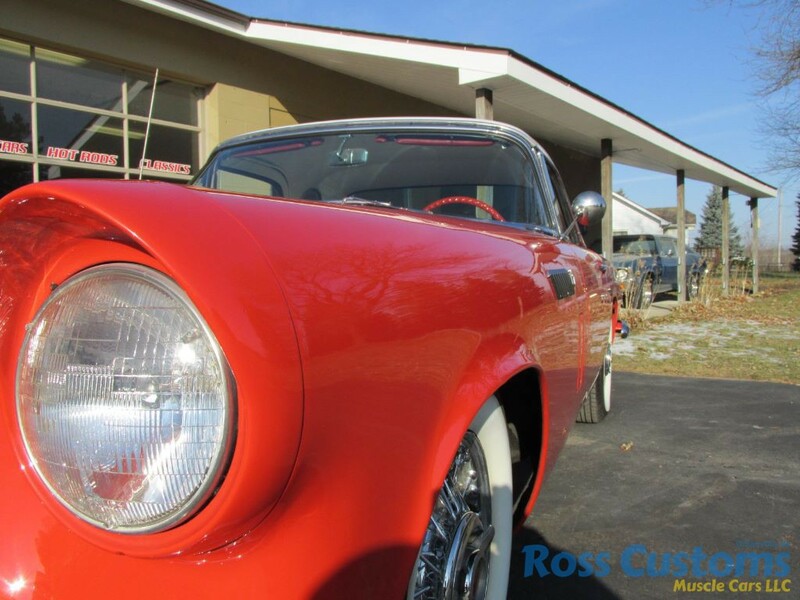 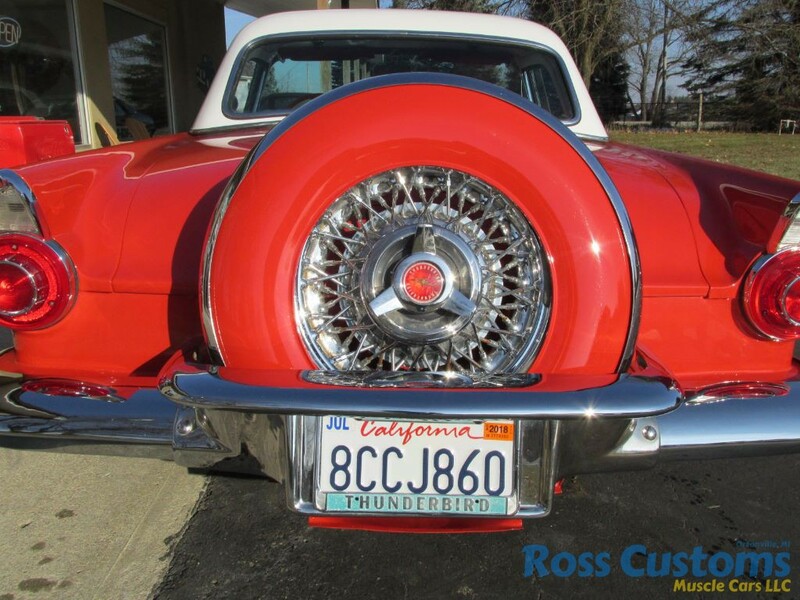 Rides on a set of Truespoke wire wheels with wide white Radial tires 205/75/15 all around. 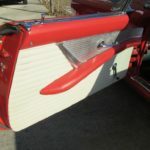 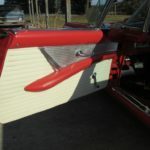 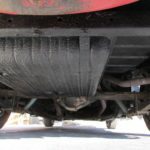 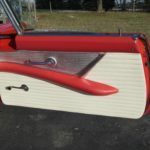 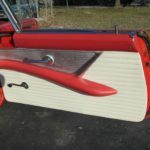 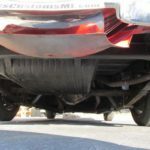 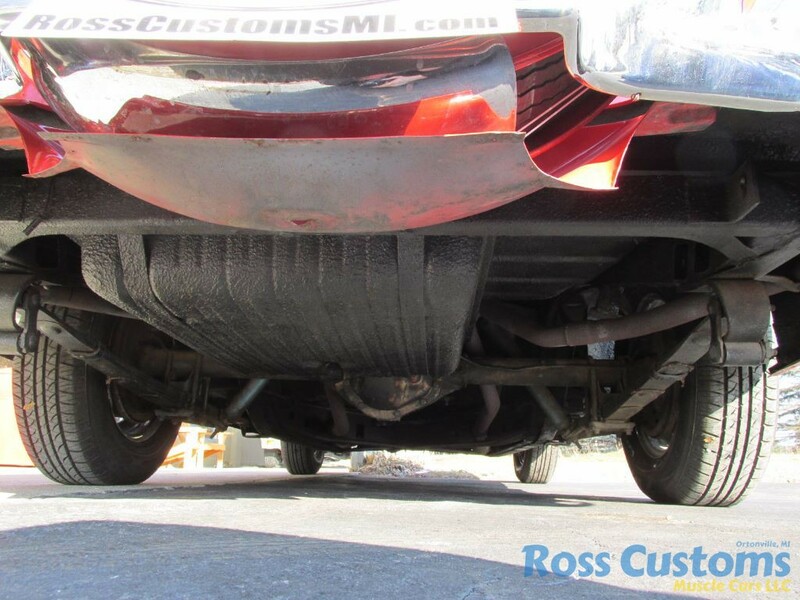 Also comes with factory fender skirts. 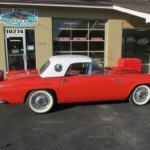 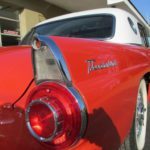 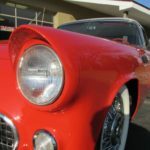 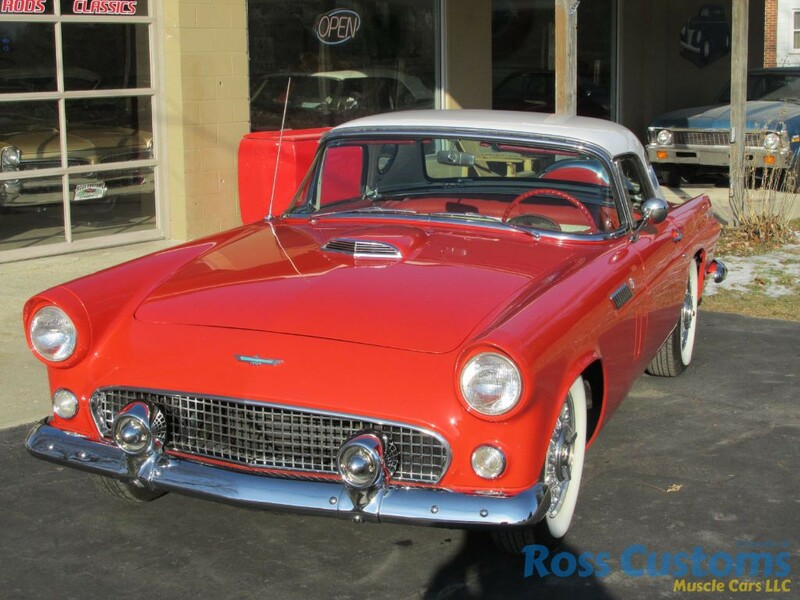 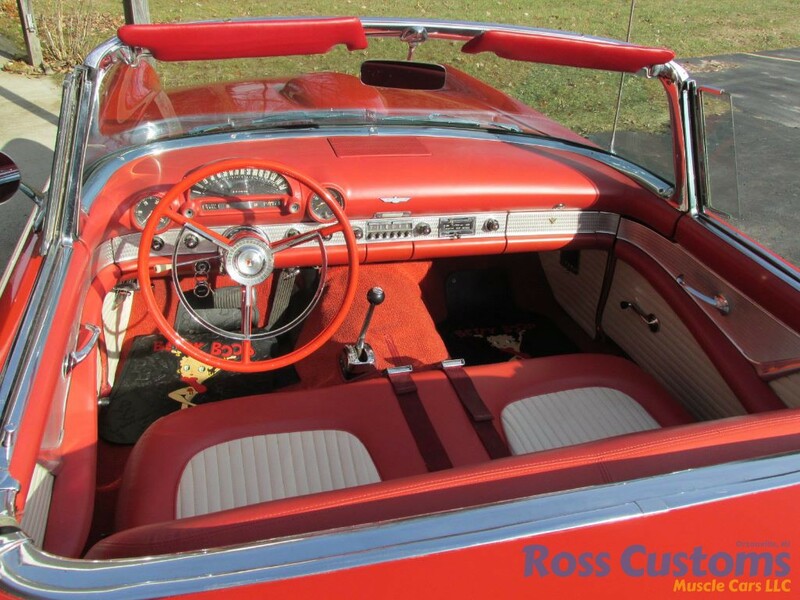 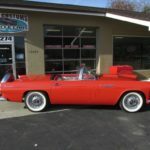 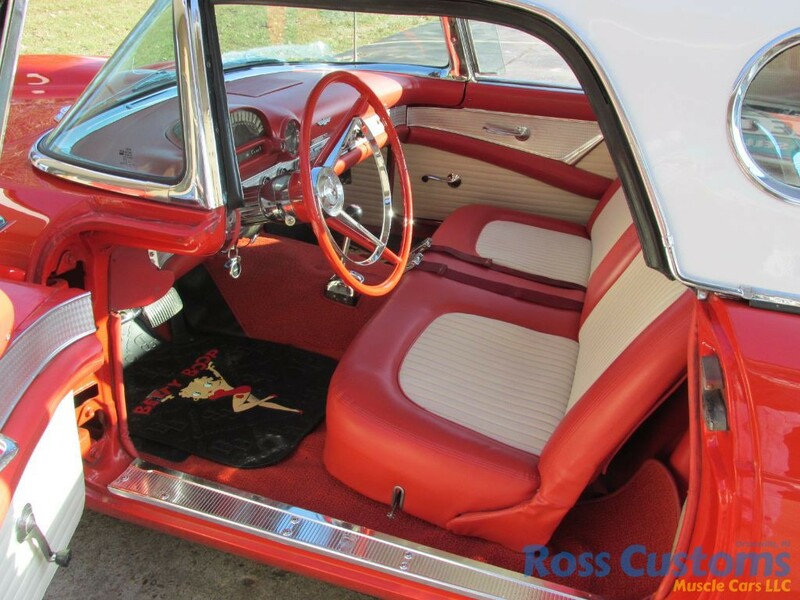 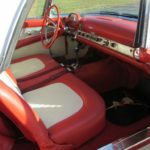 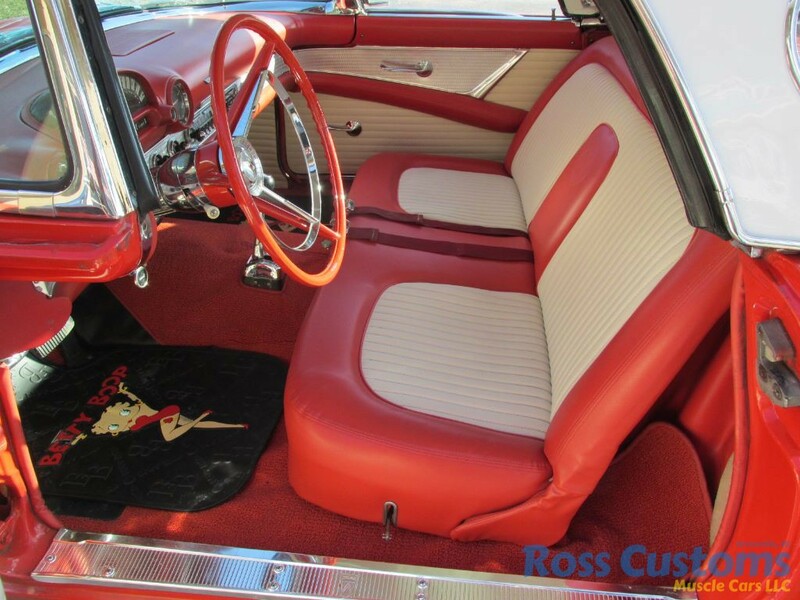 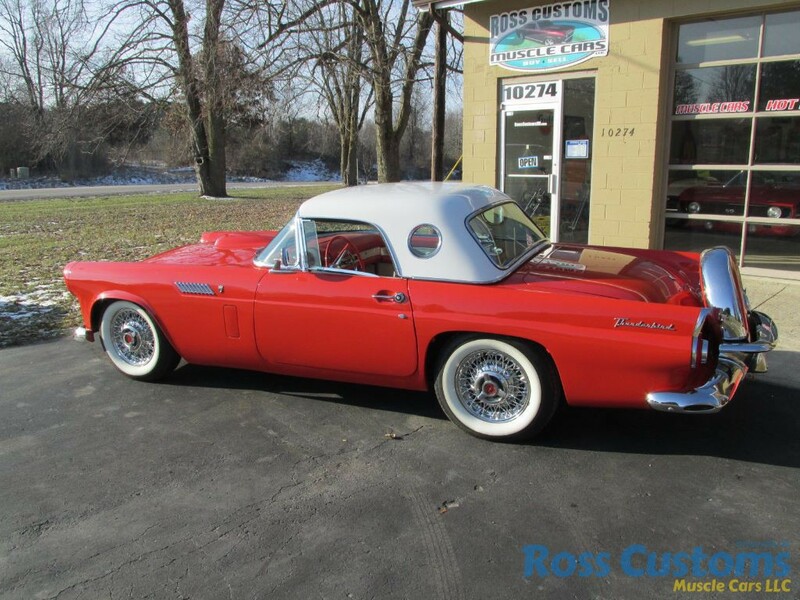 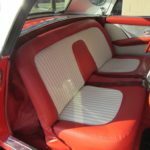 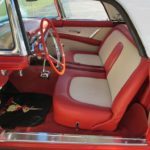 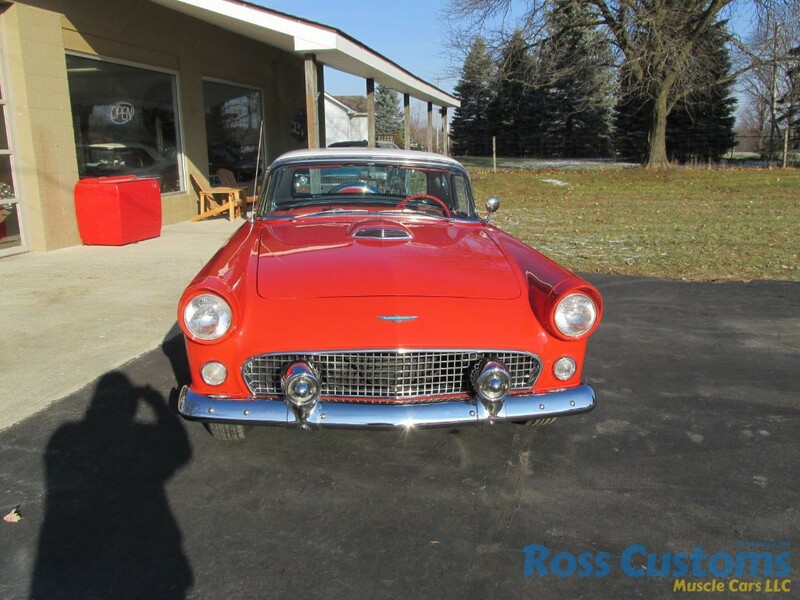 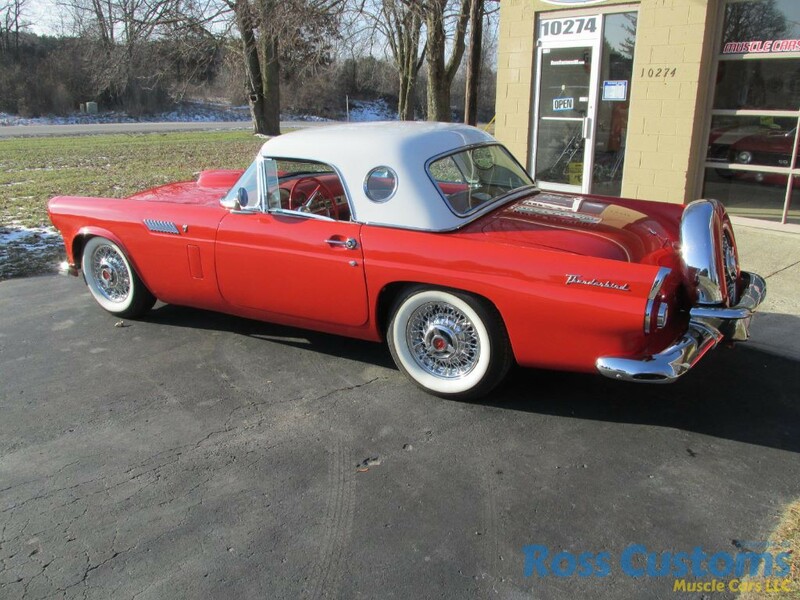 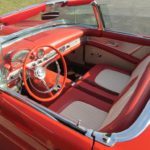 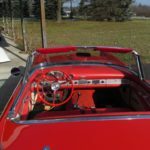 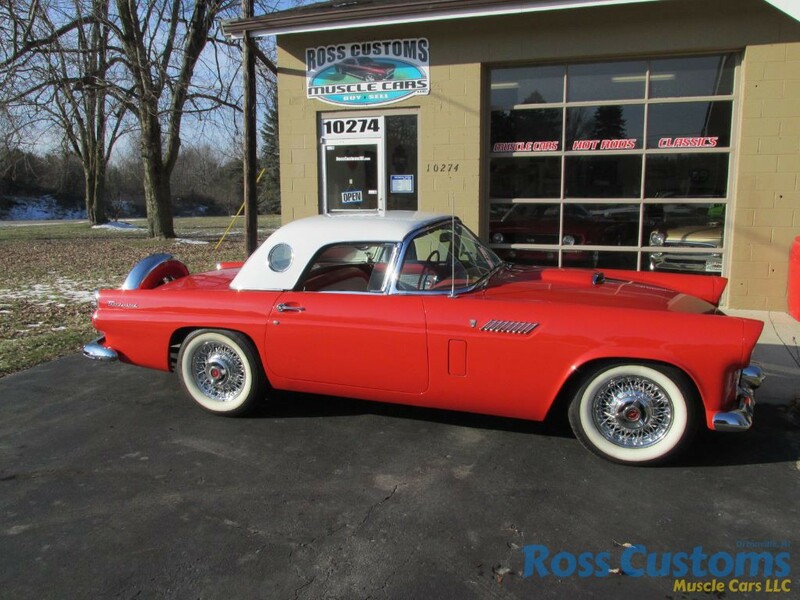 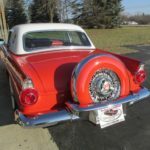 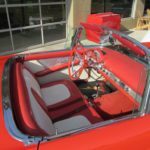 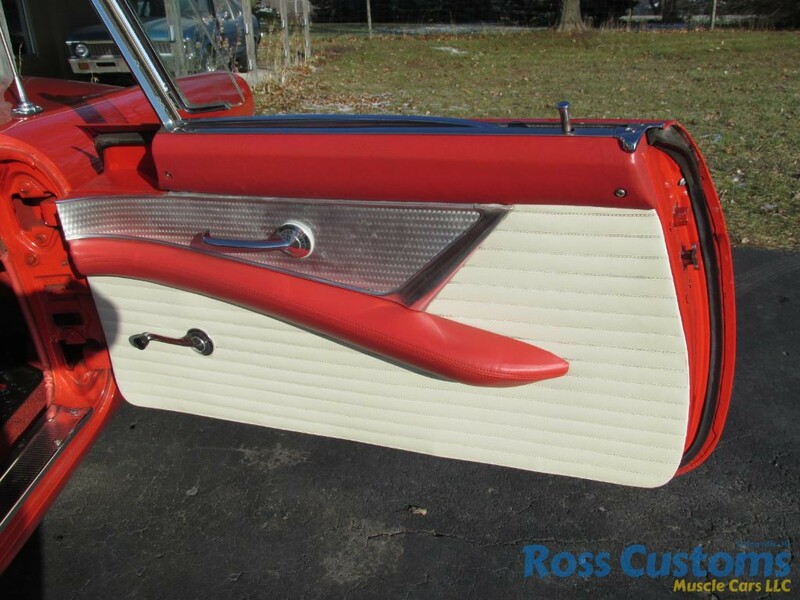 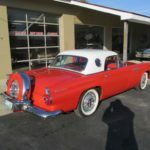 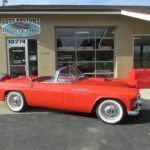 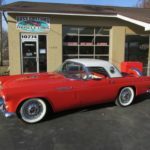 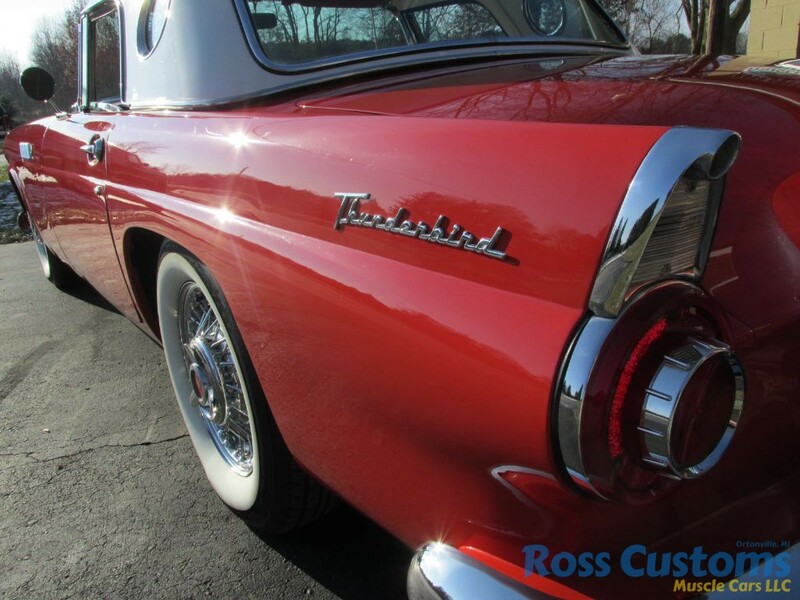 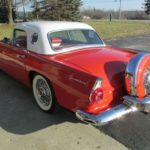 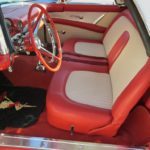 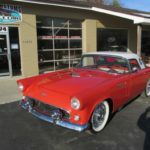 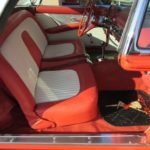 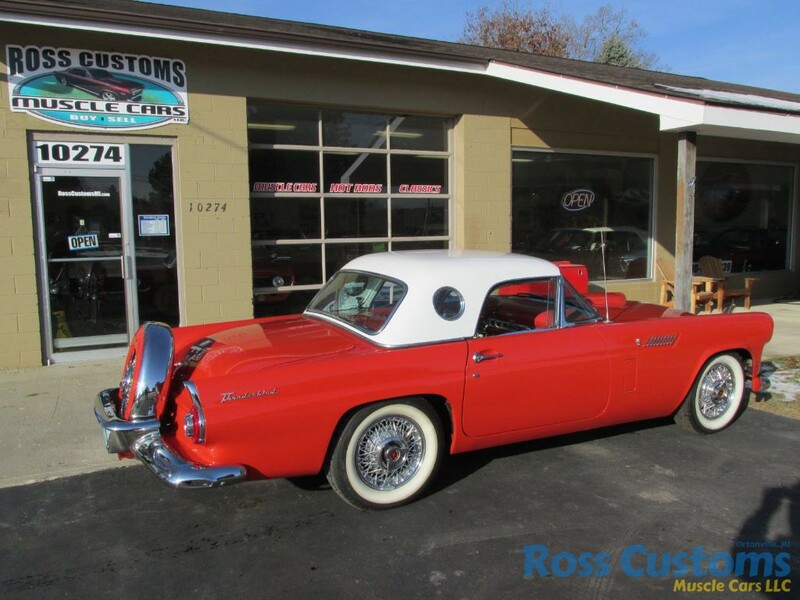 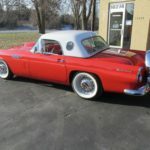 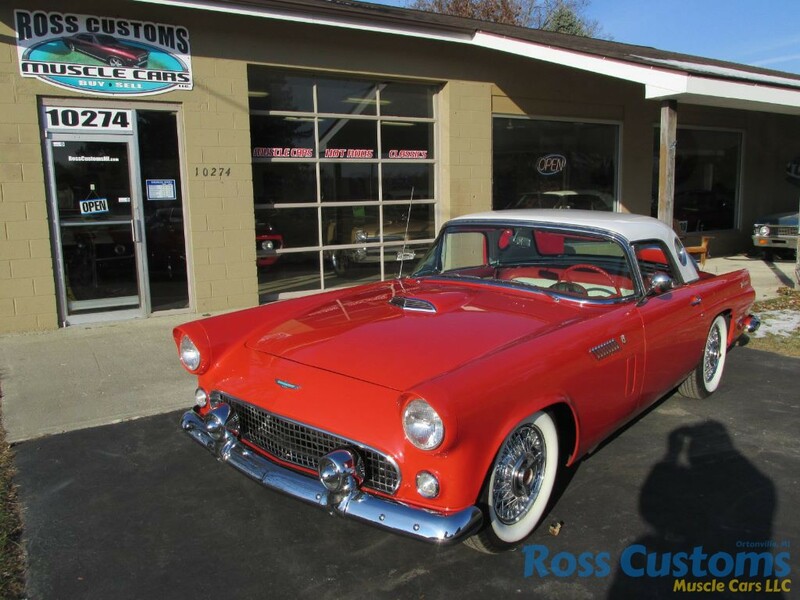 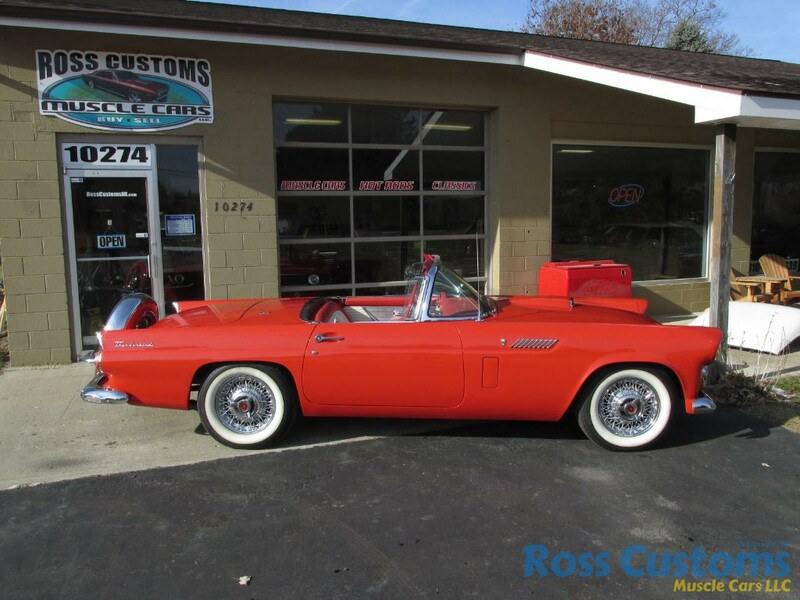 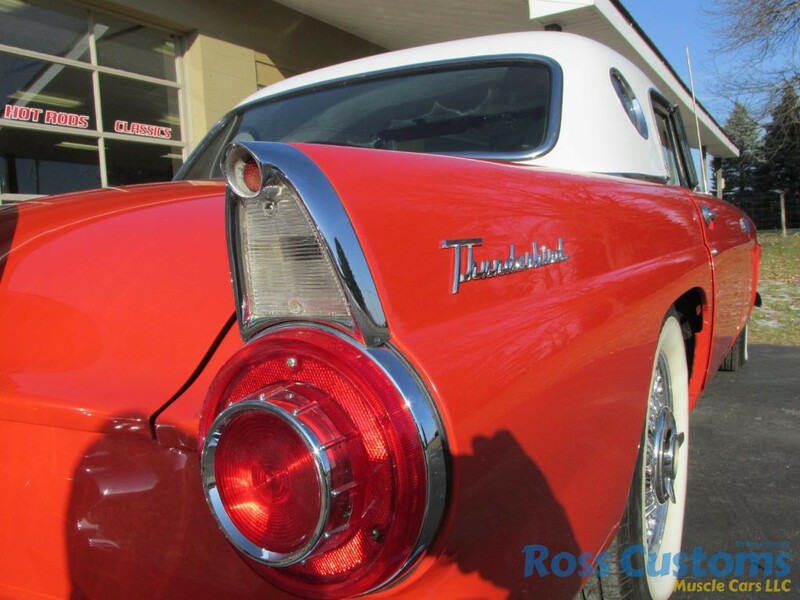 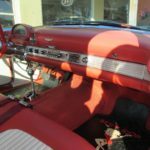 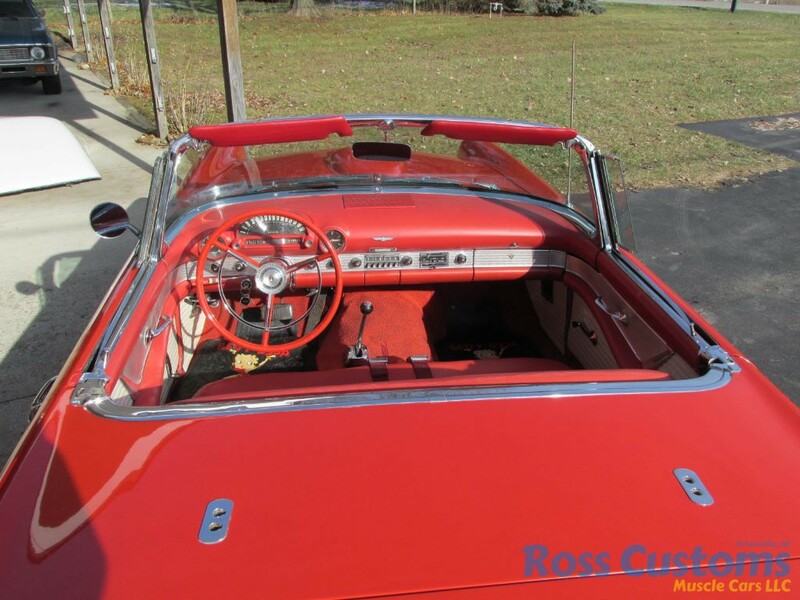 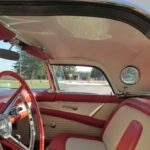 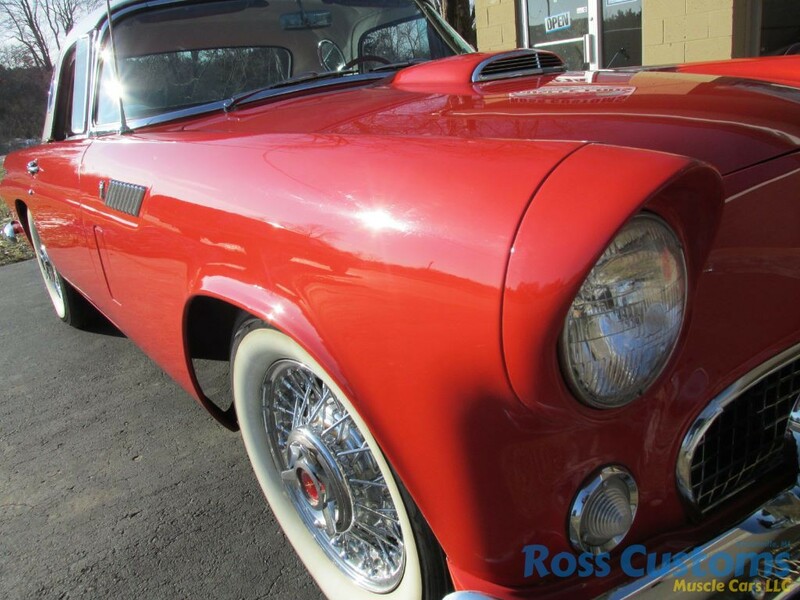 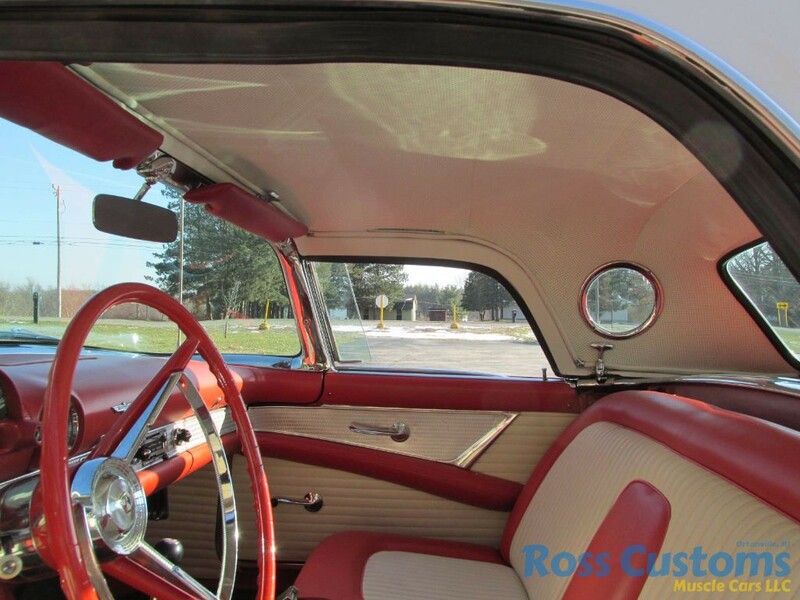 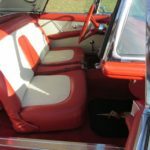 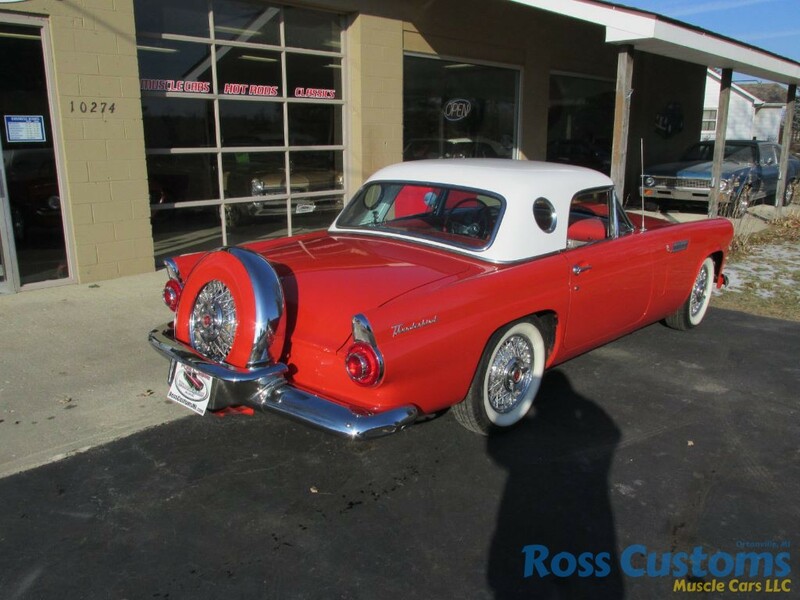 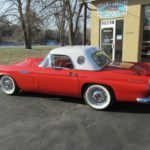 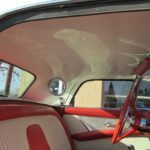 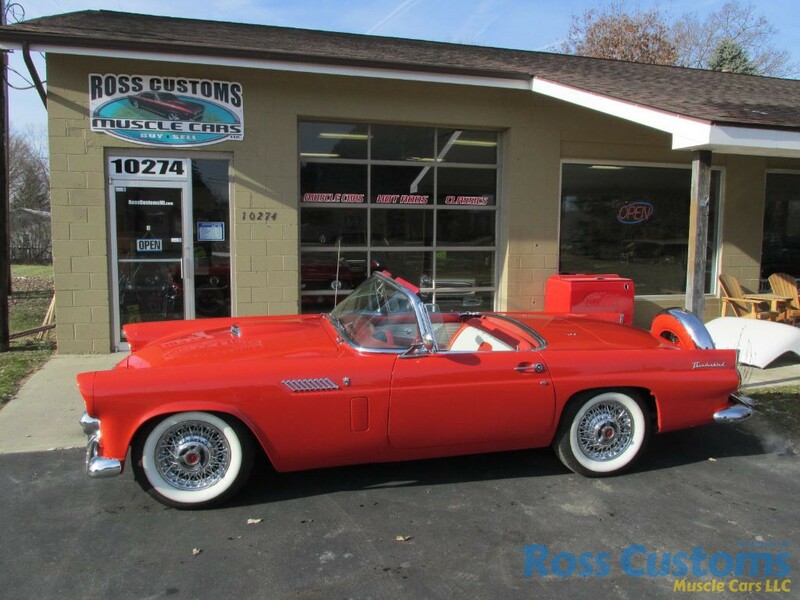 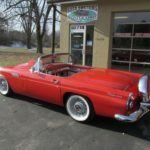 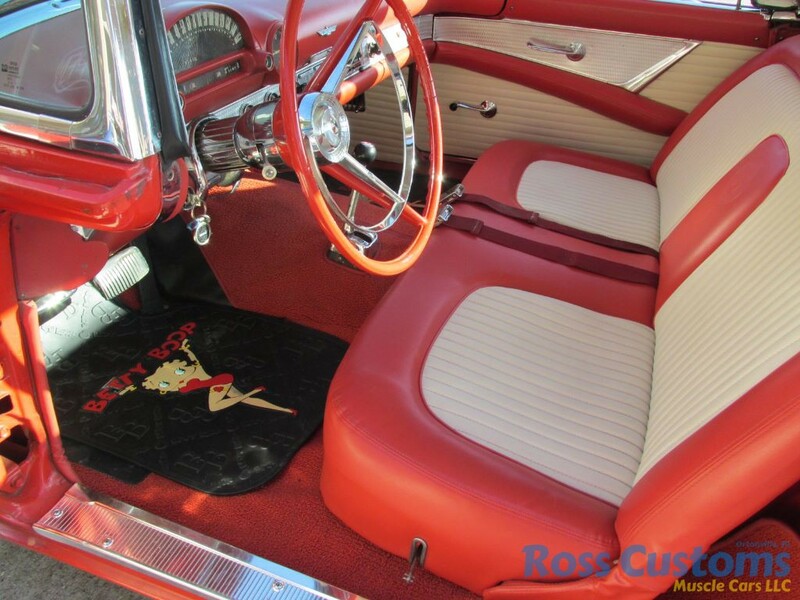 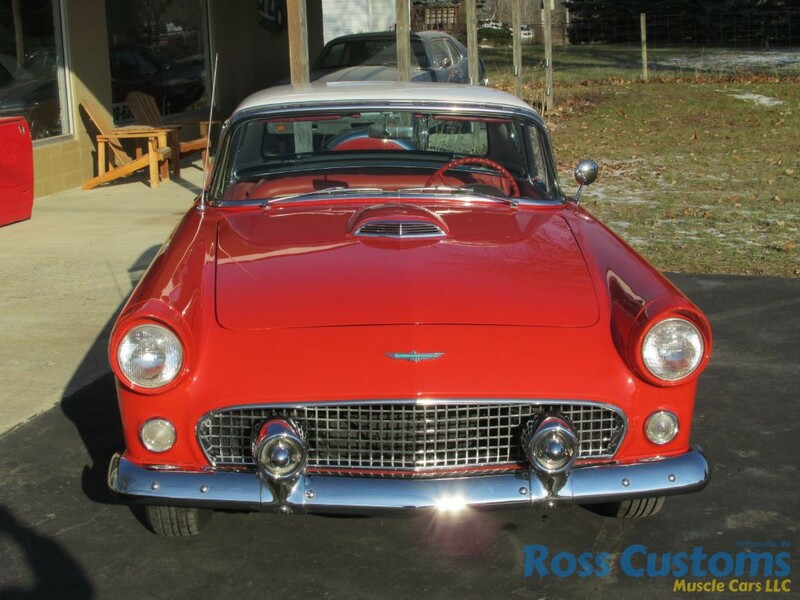 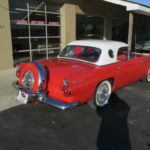 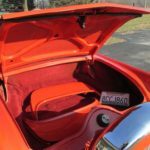 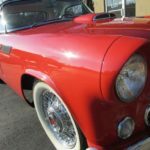 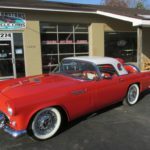 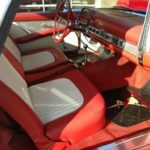 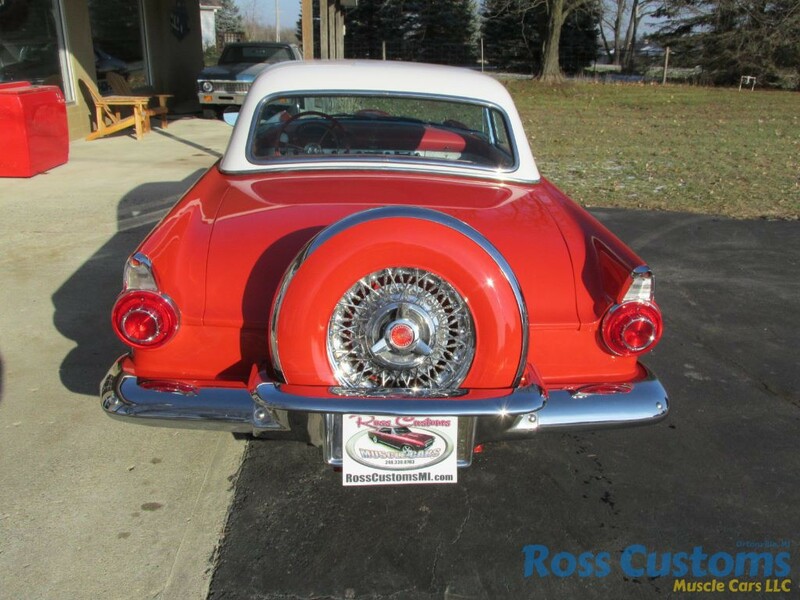 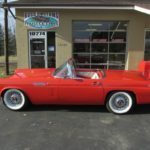 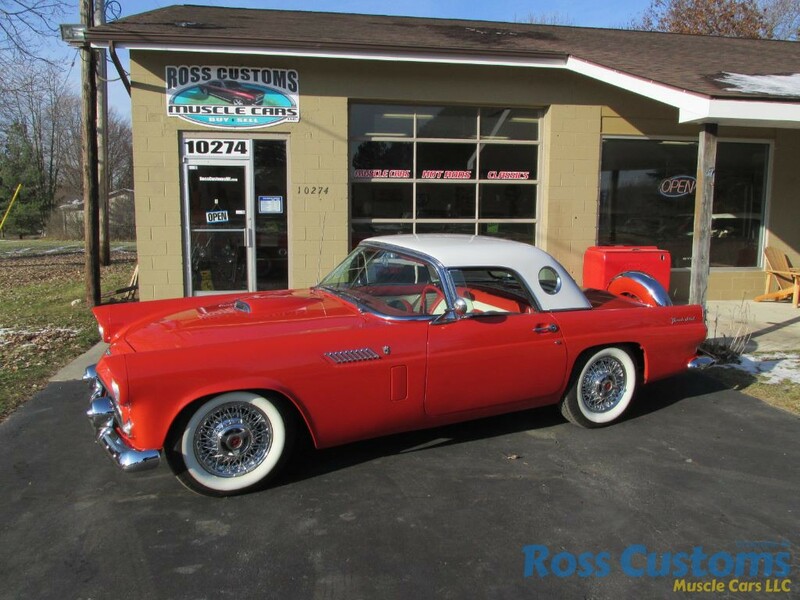 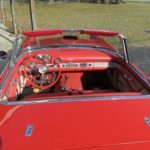 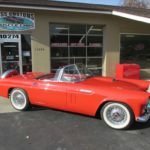 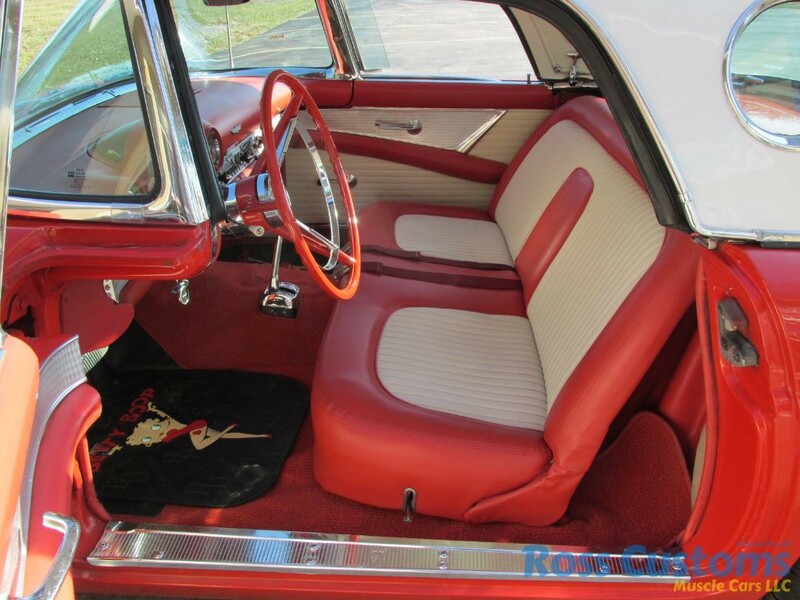 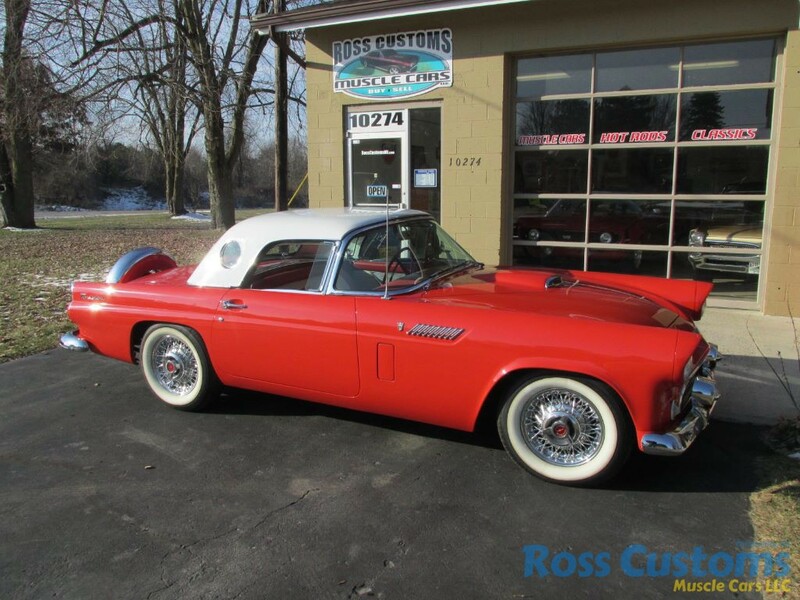 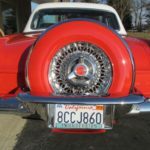 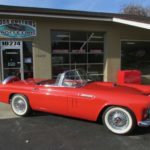 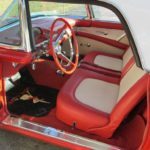 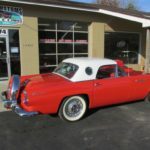 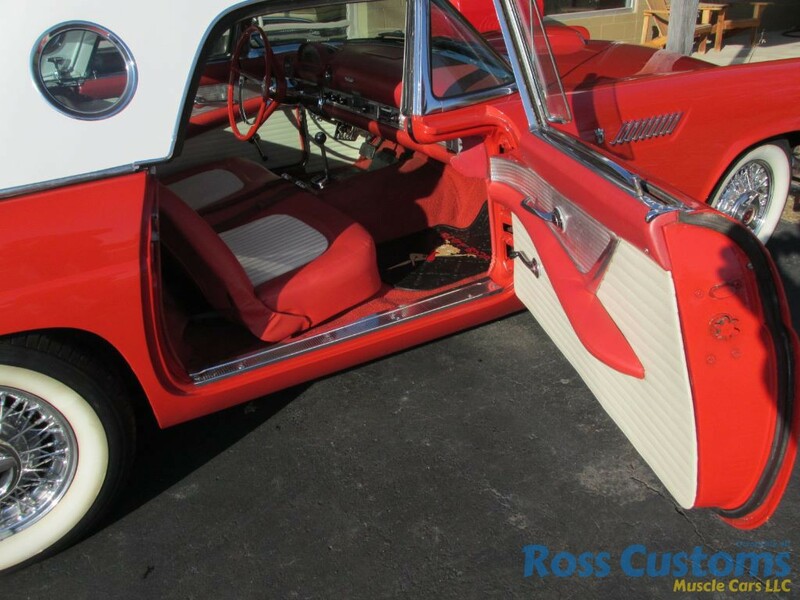 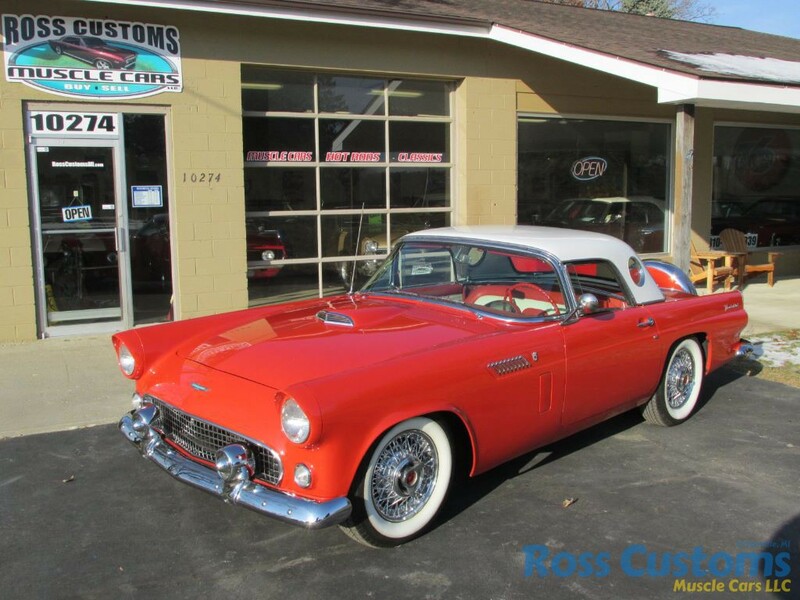 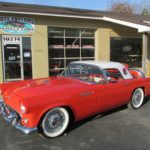 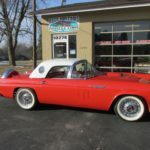 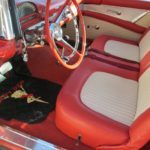 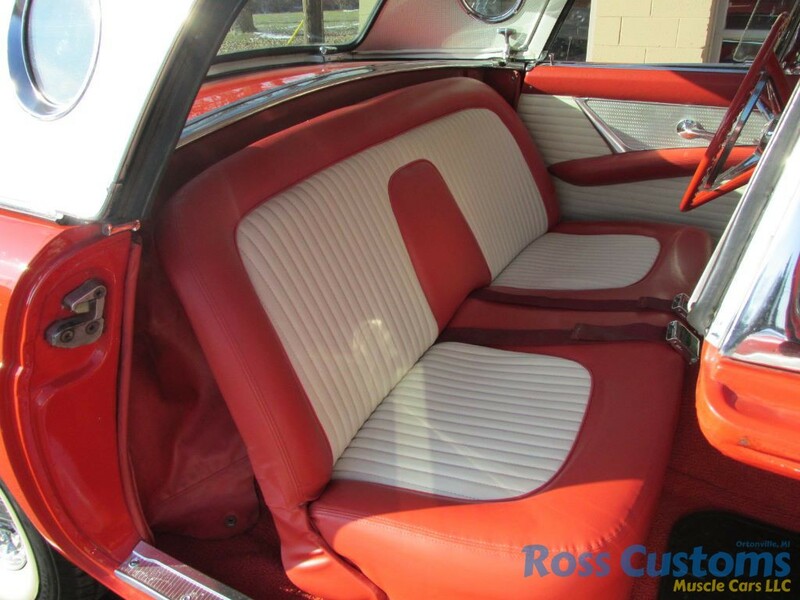 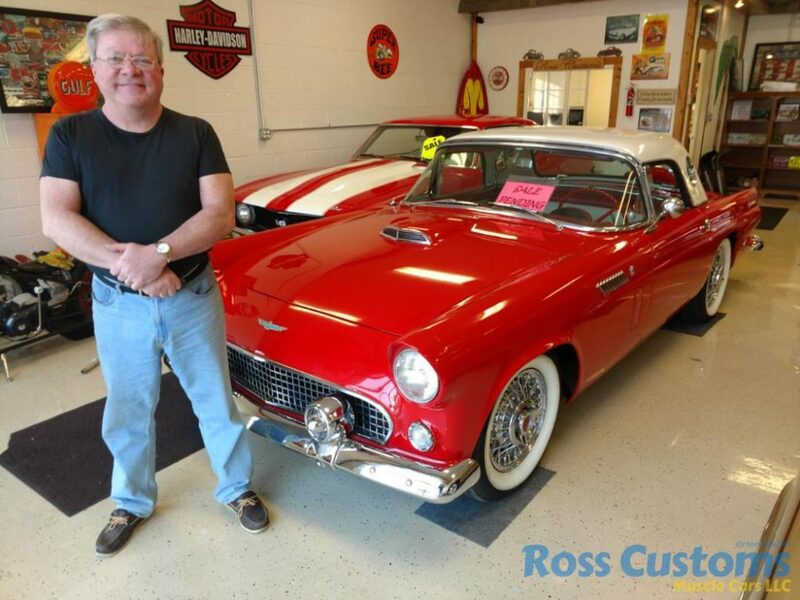 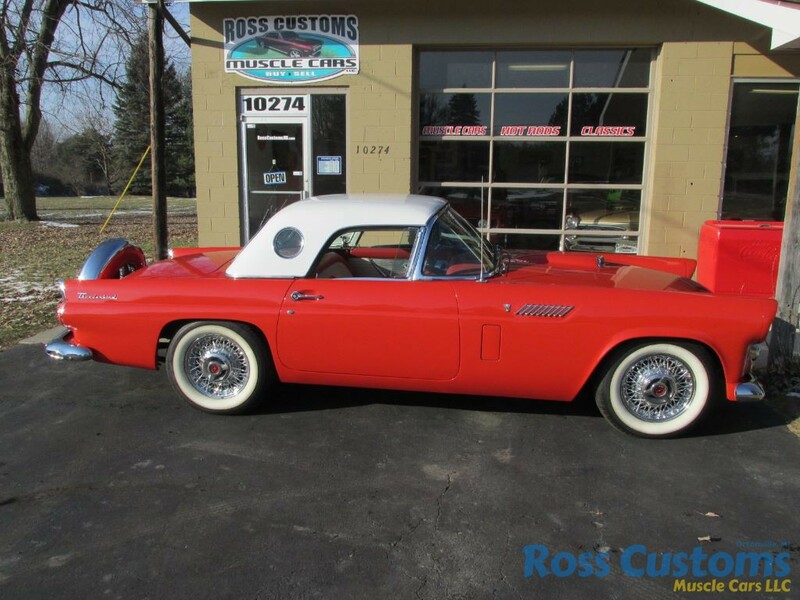 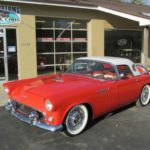 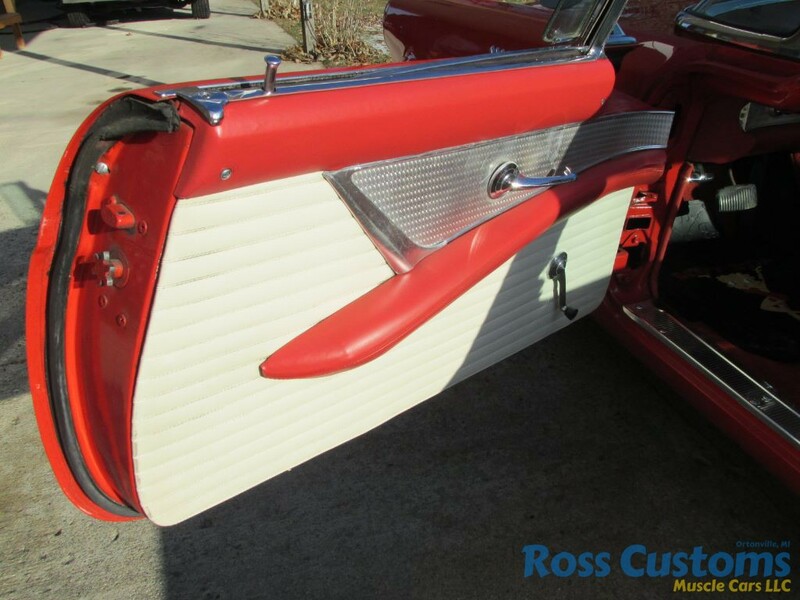 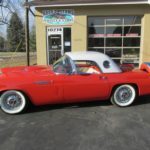 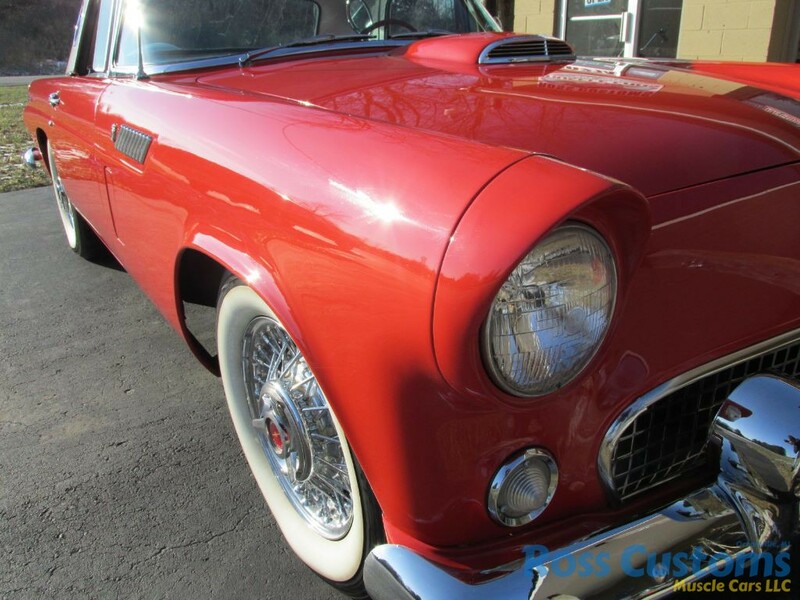 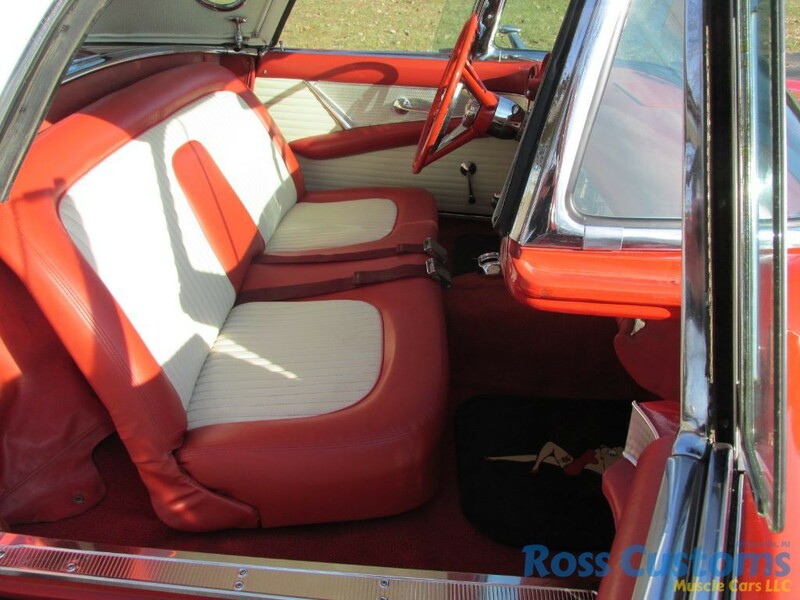 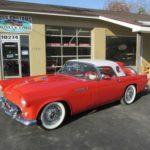 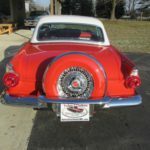 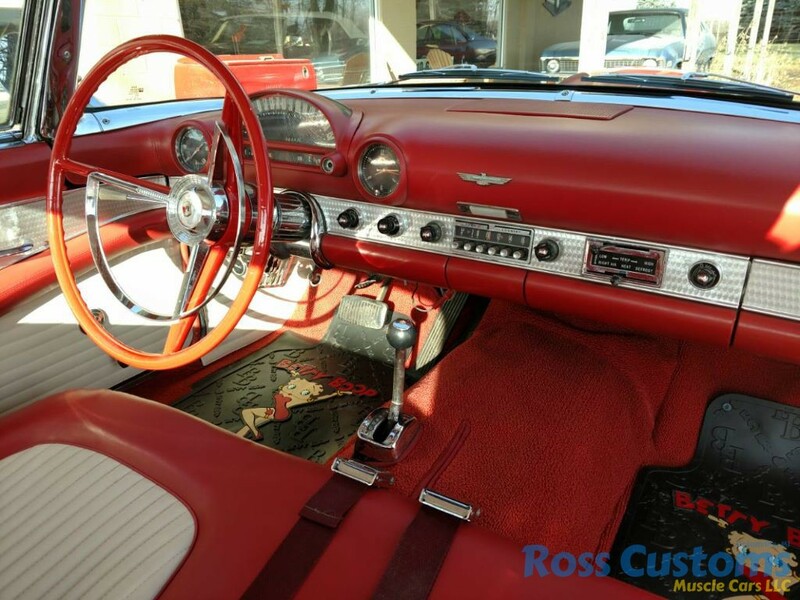 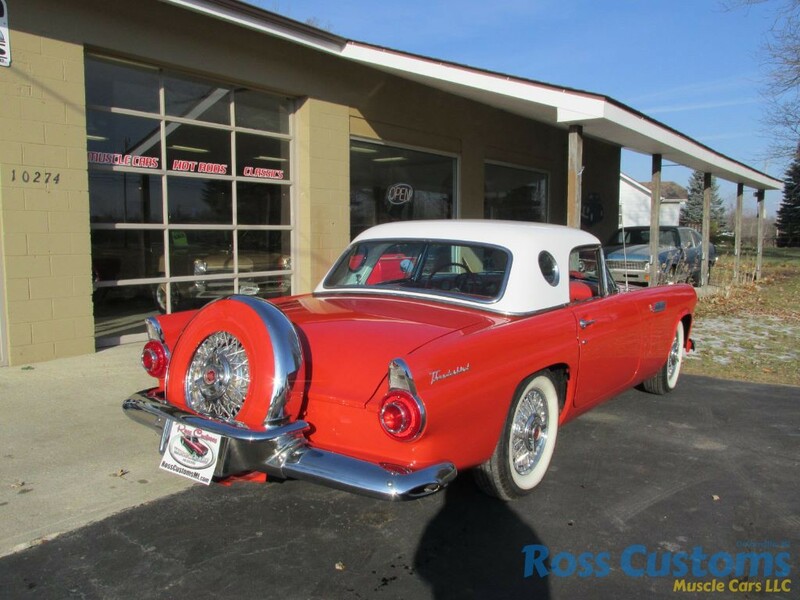 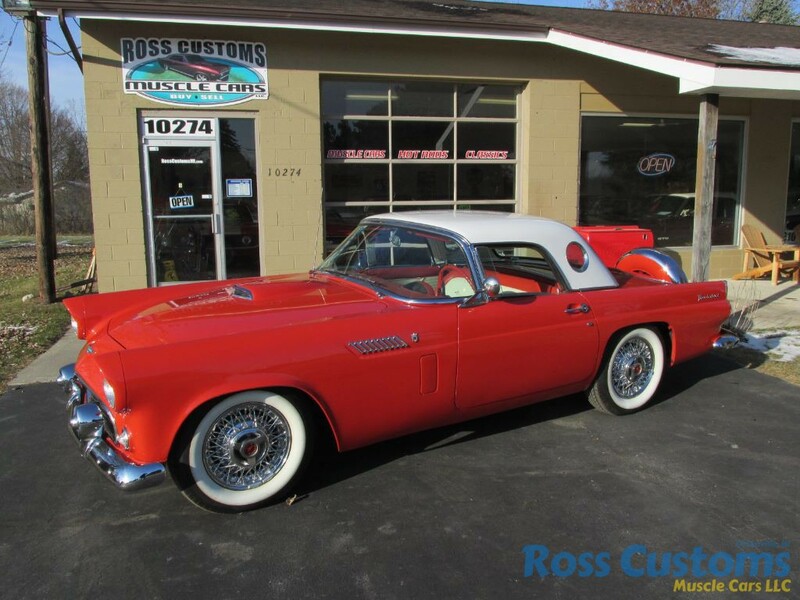 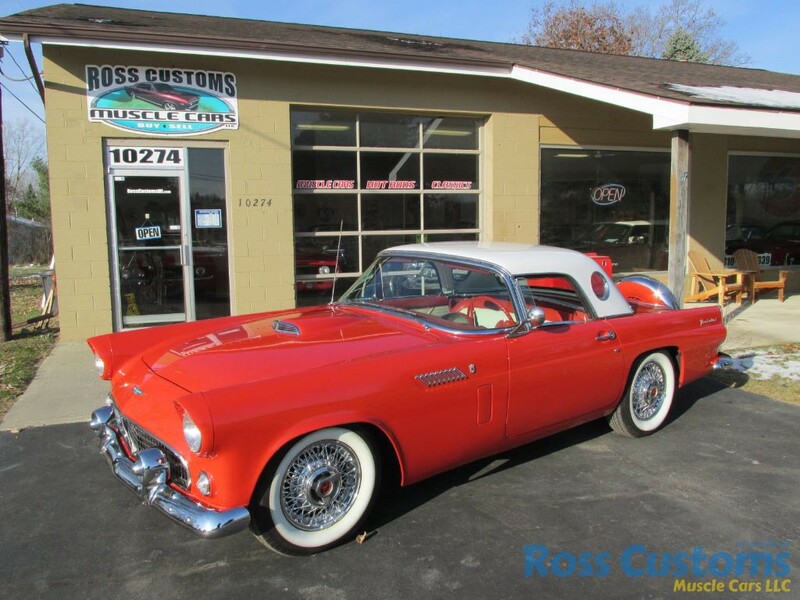 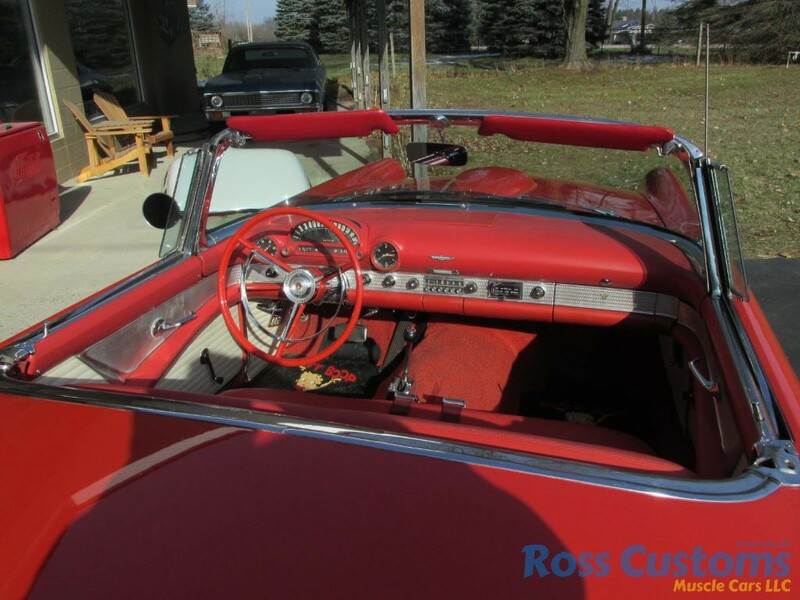 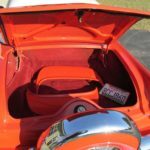 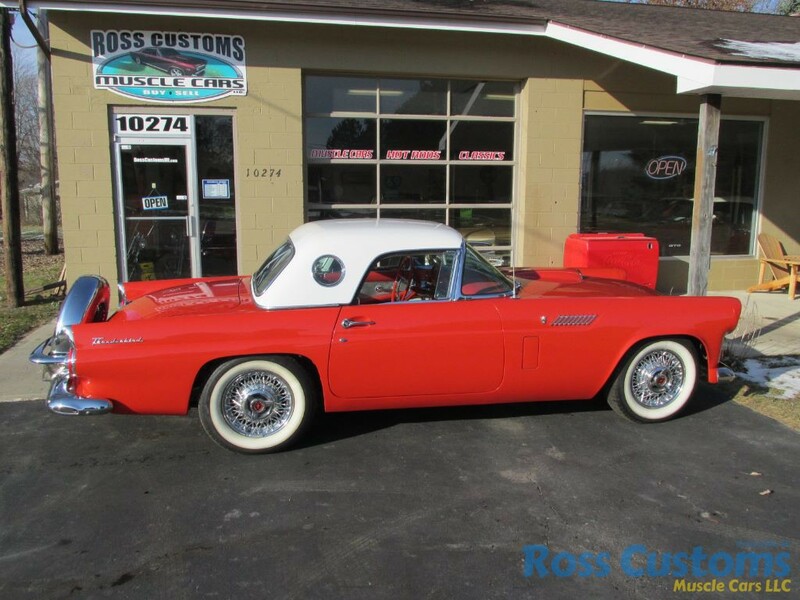 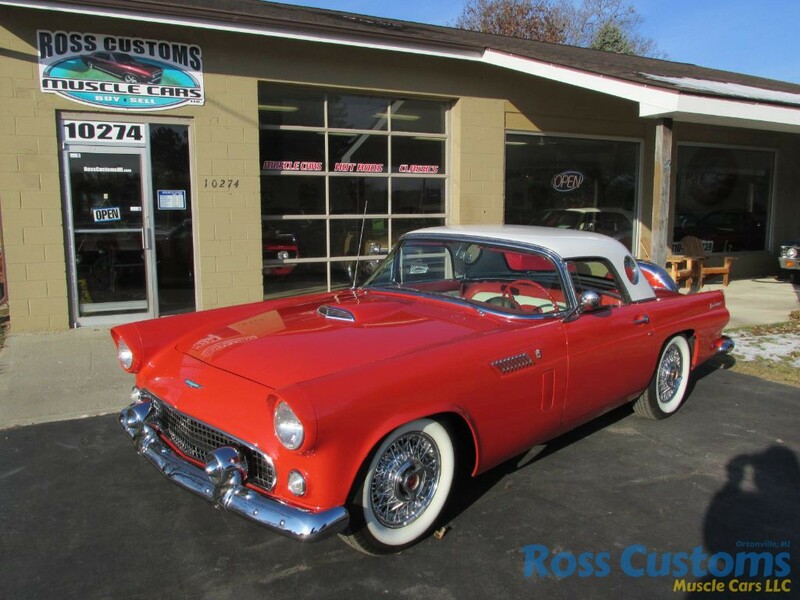 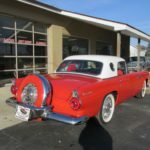 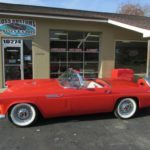 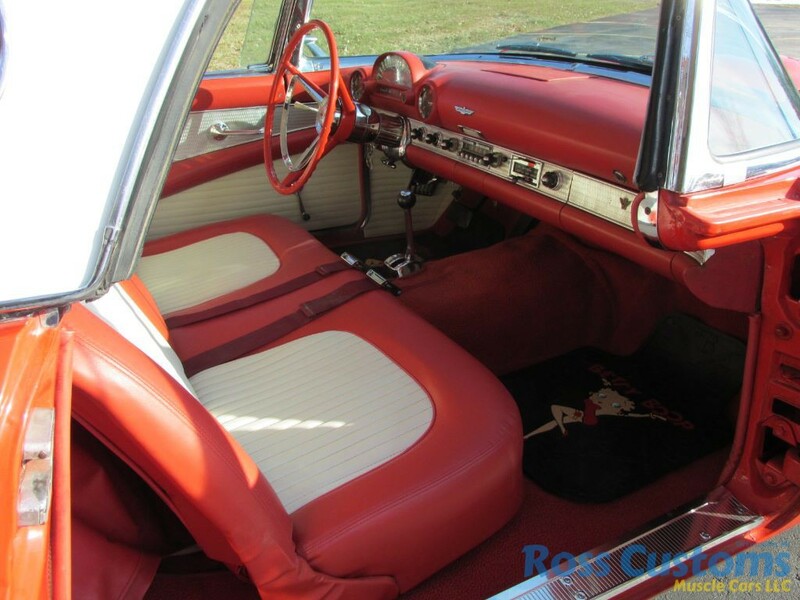 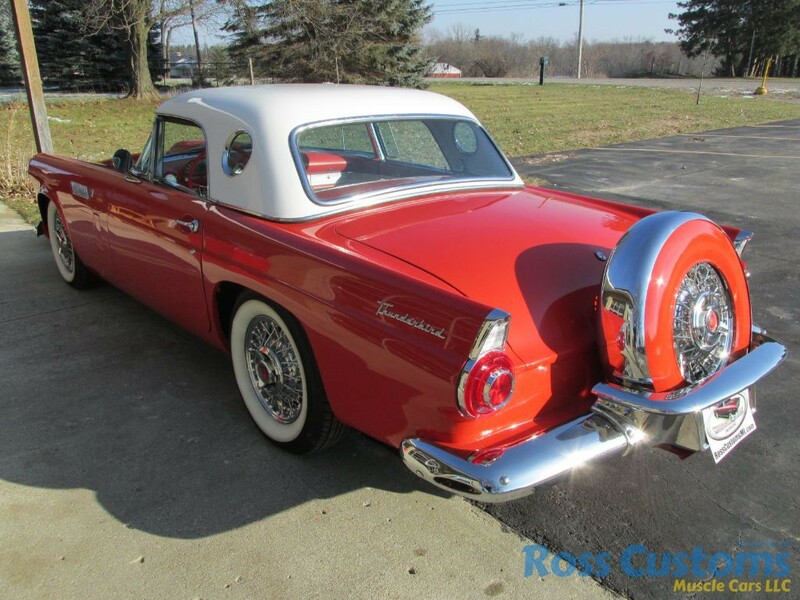 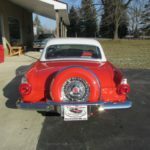 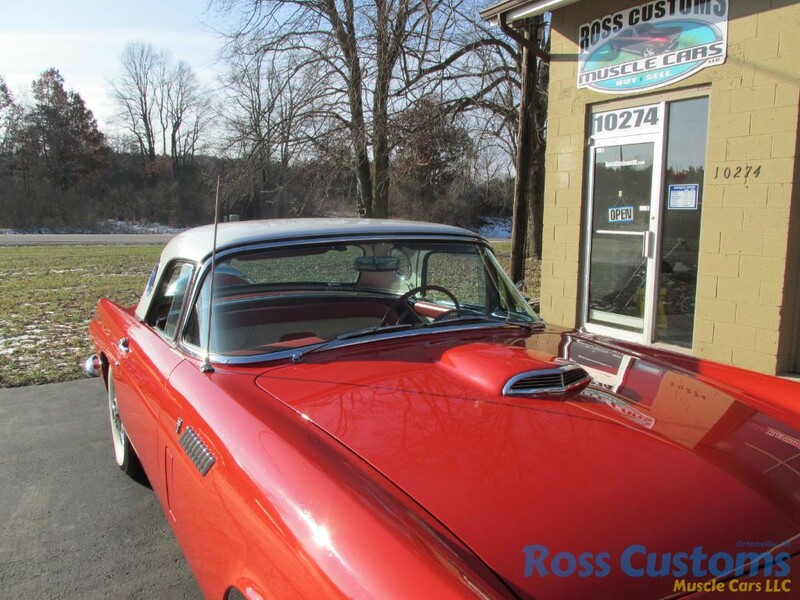 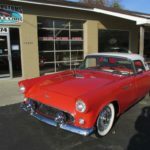 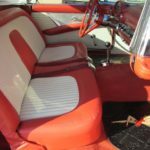 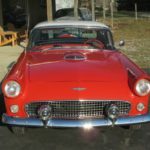 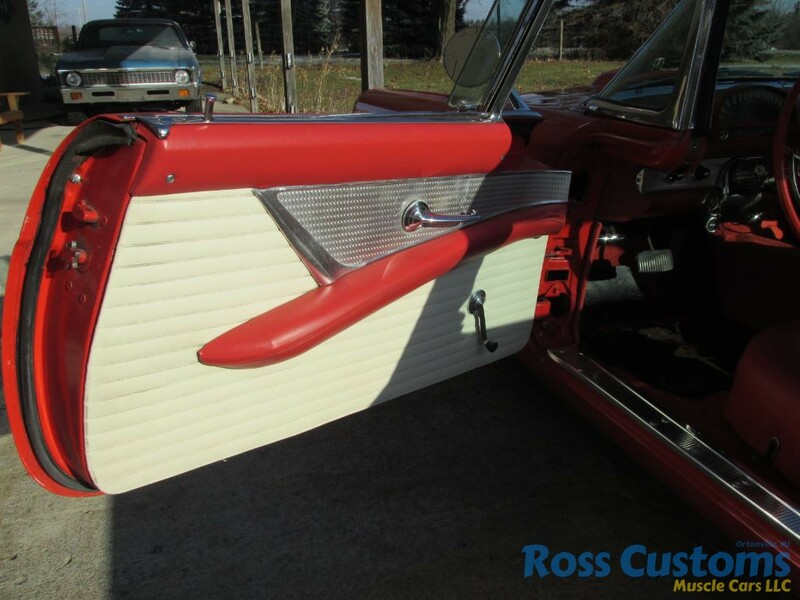 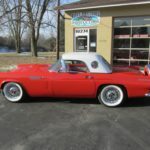 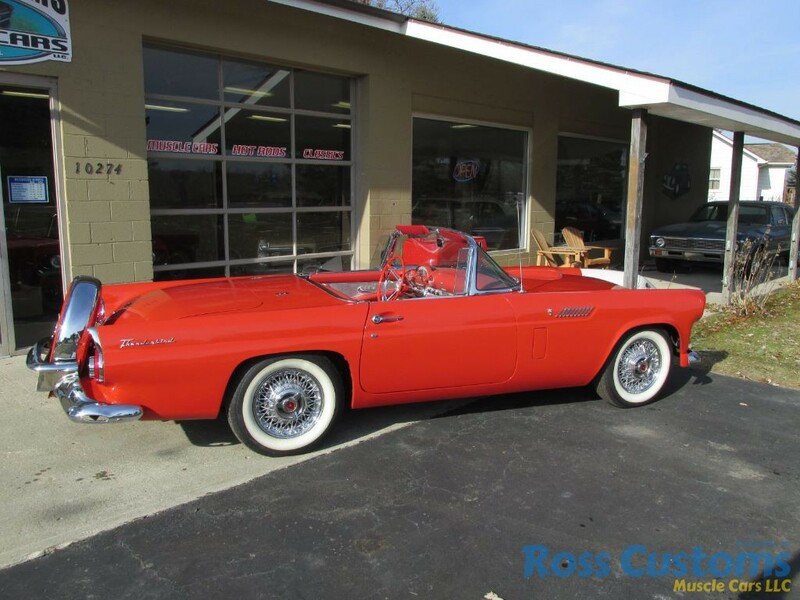 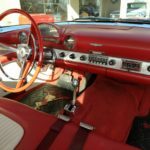 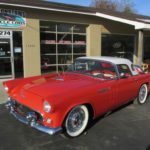 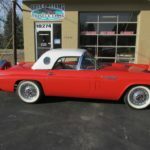 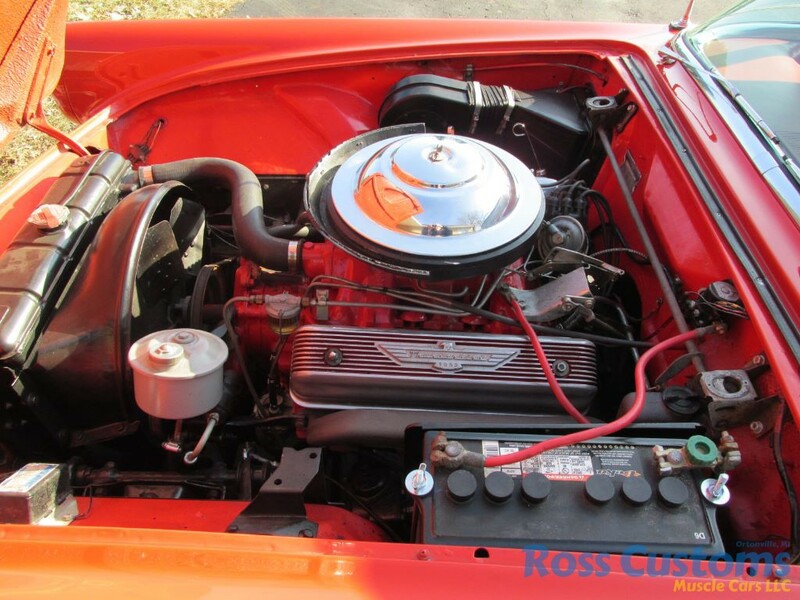 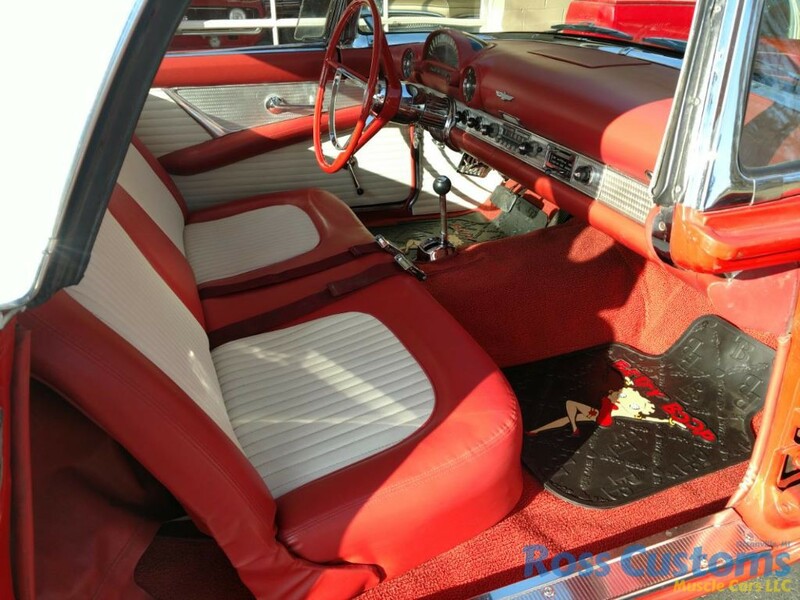 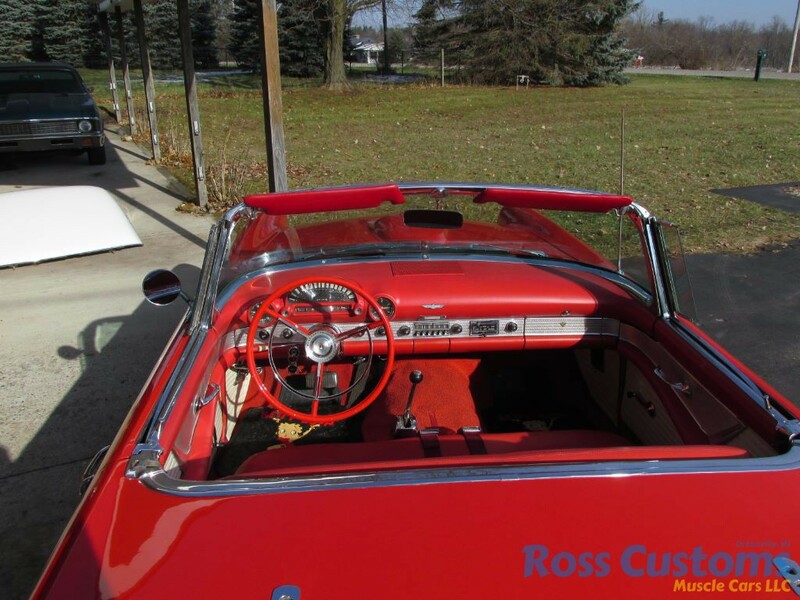 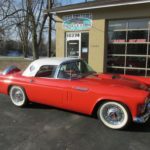 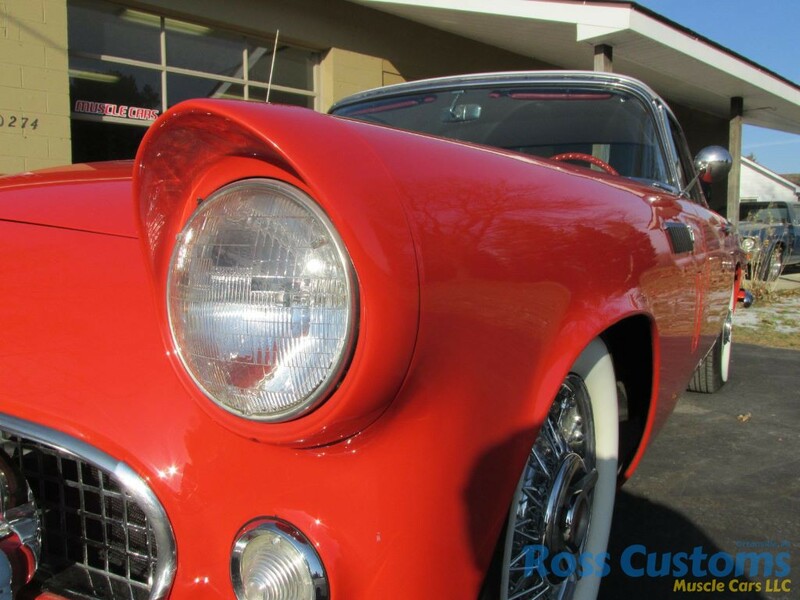 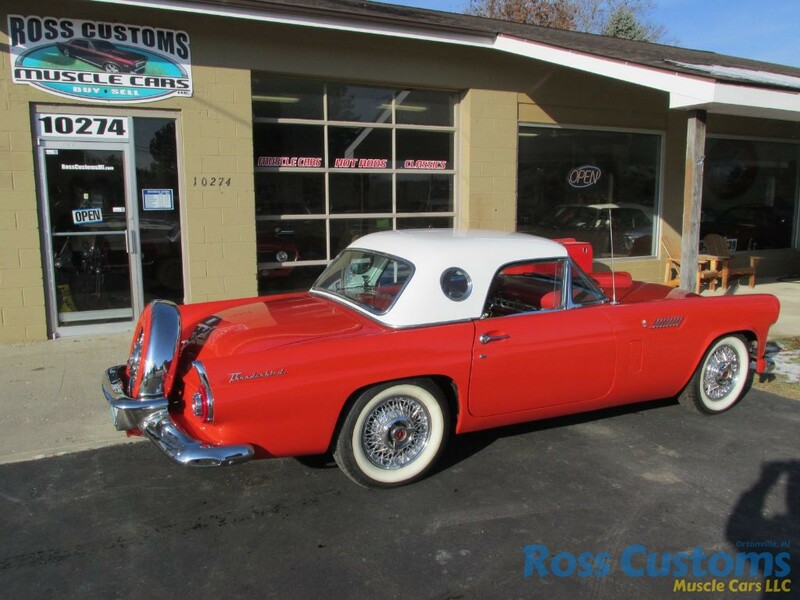 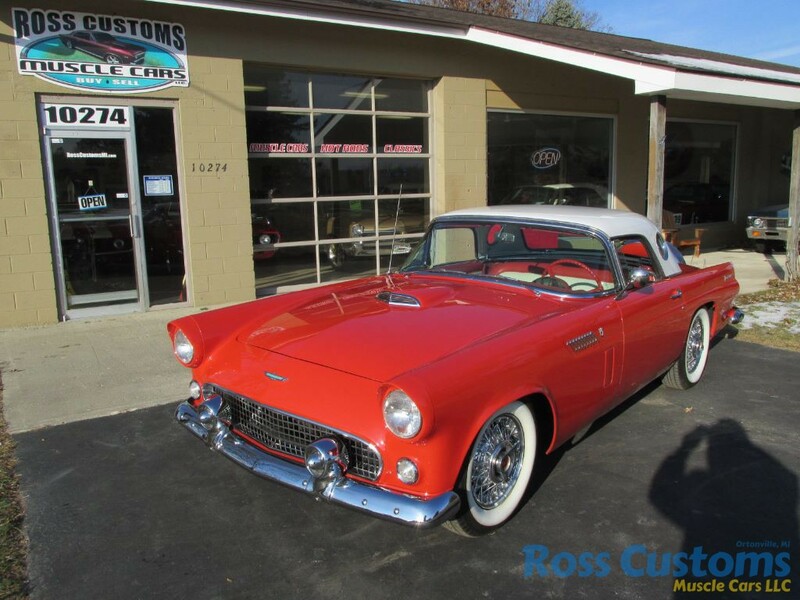 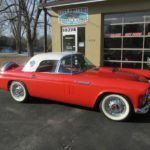 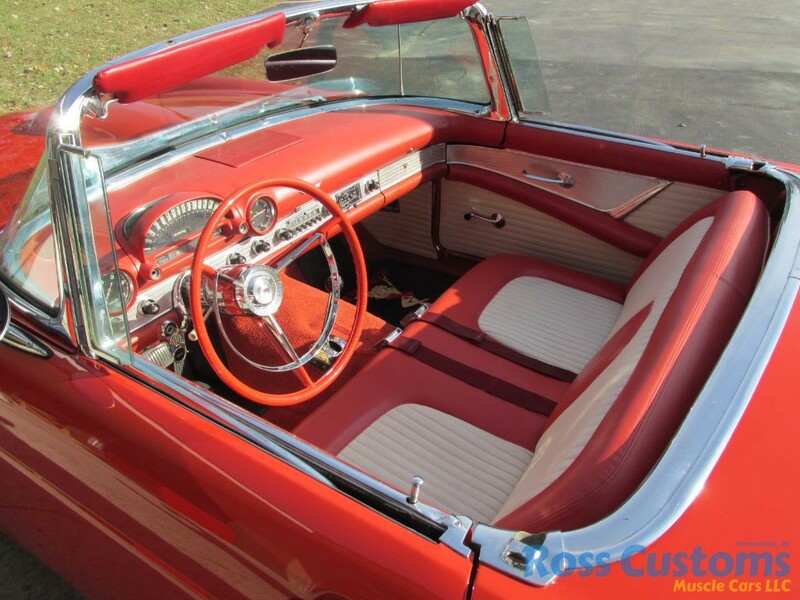 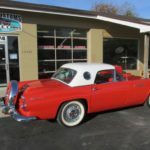 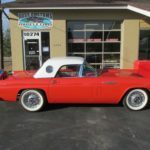 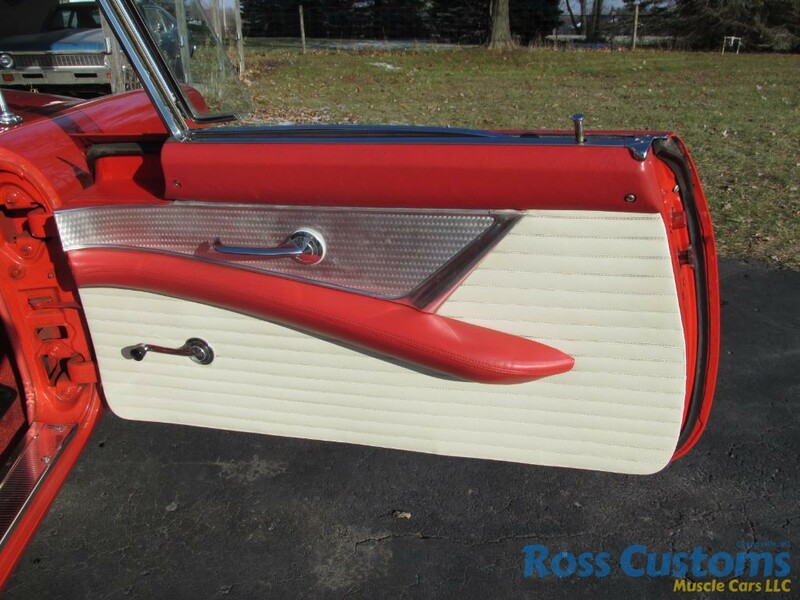 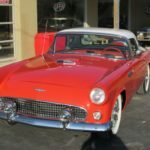 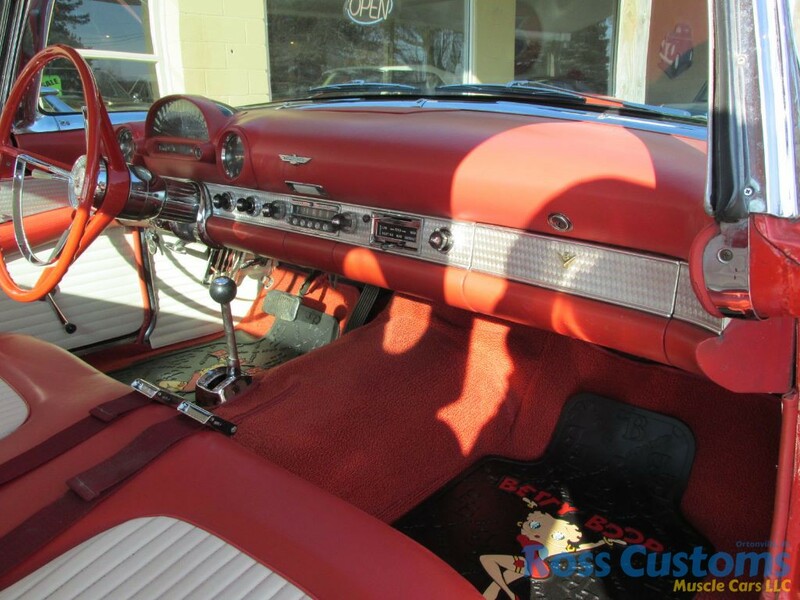 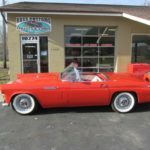 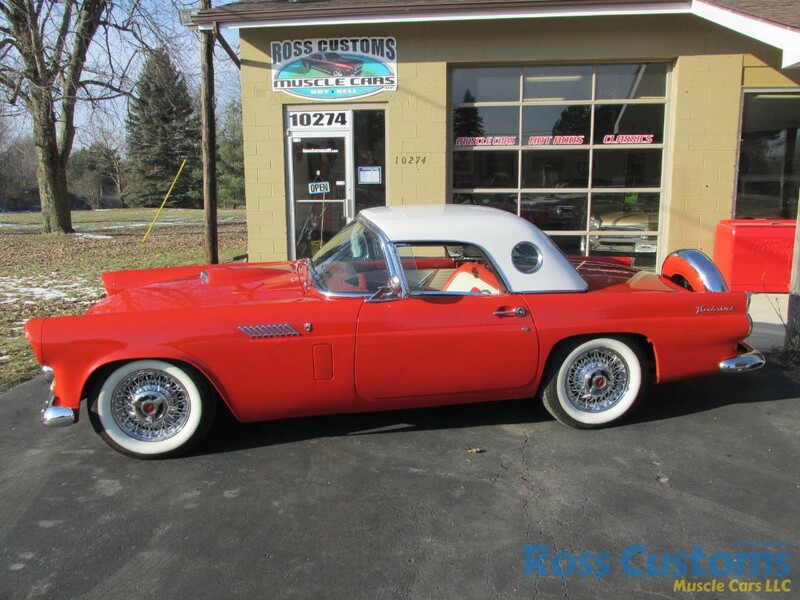 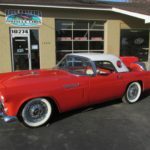 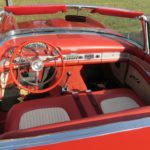 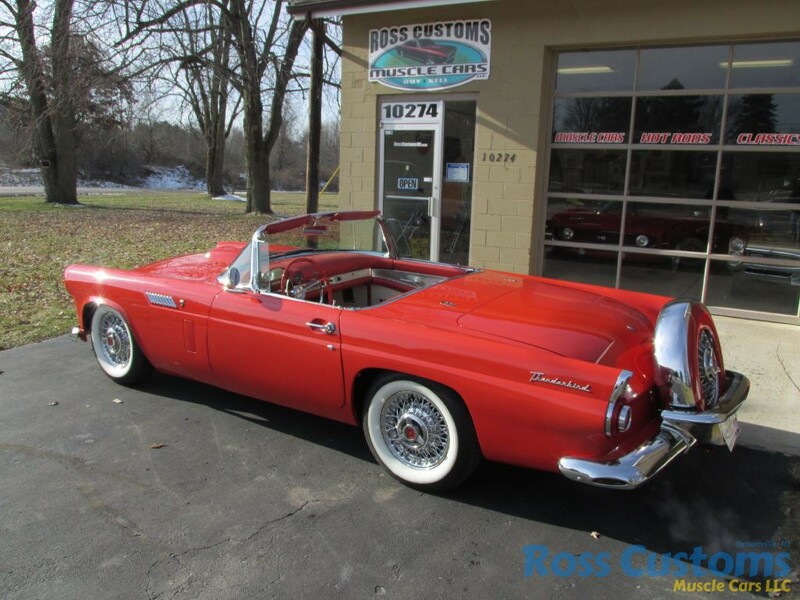 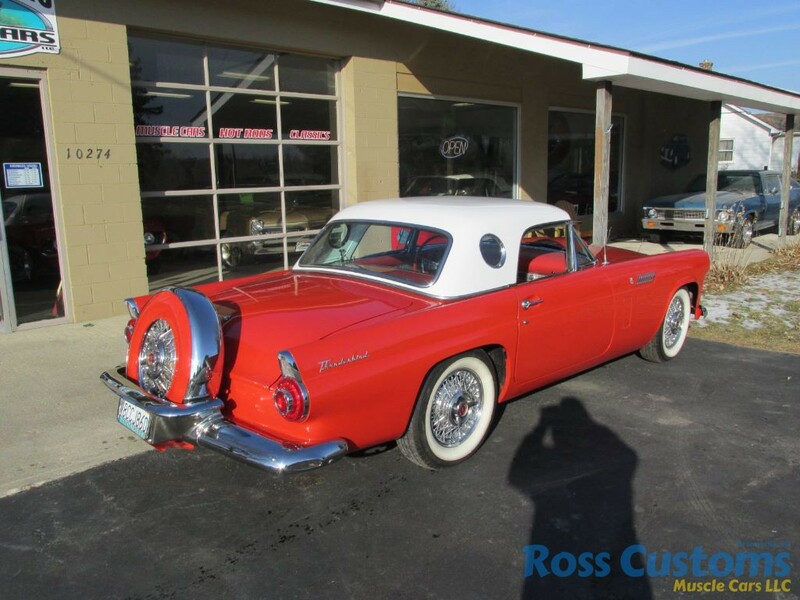 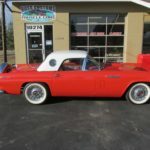 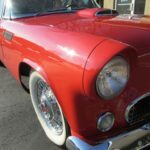 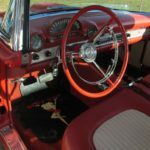 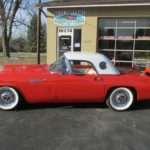 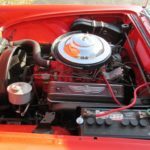 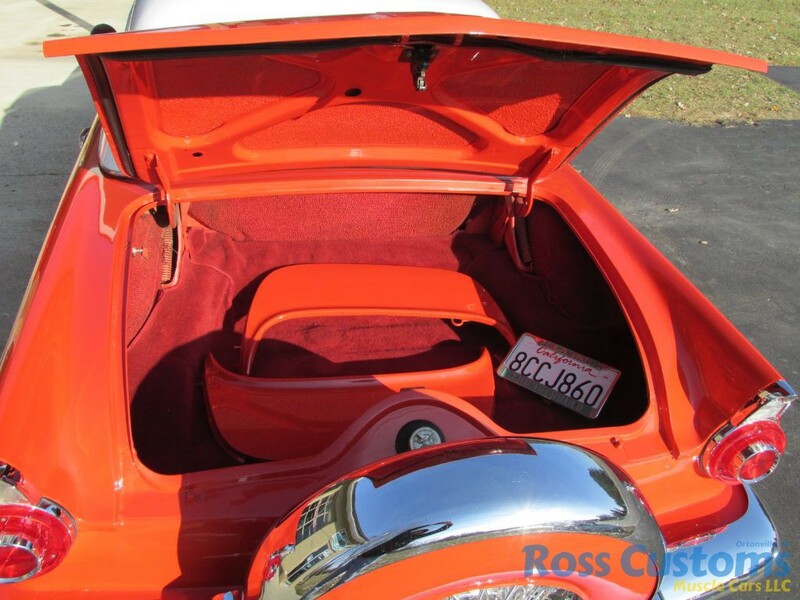 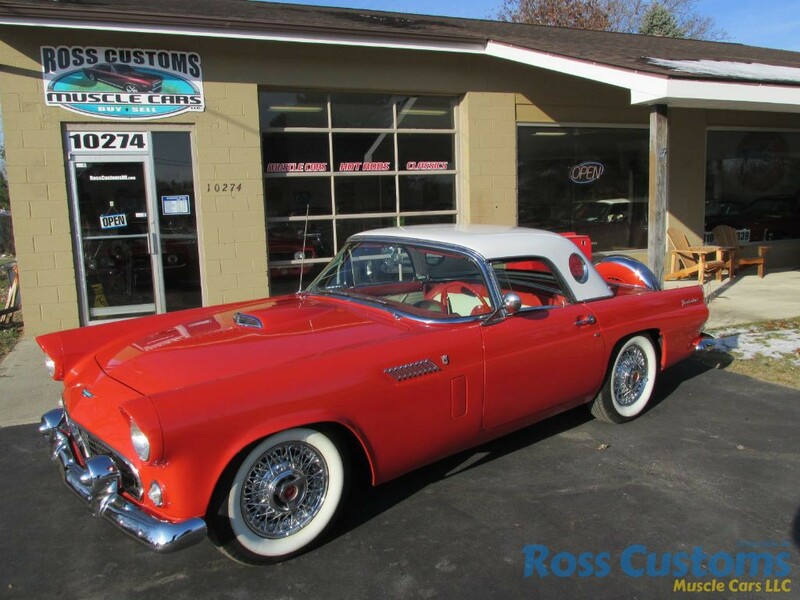 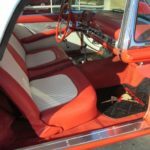 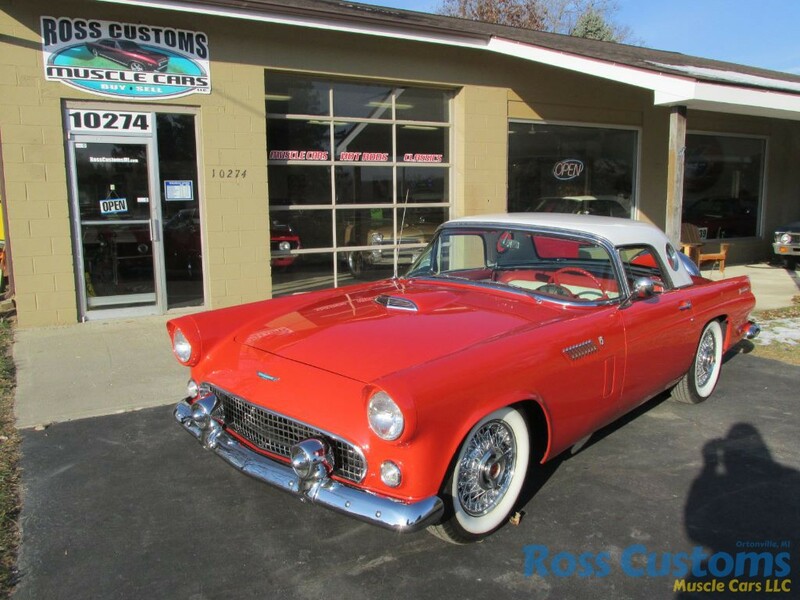 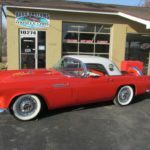 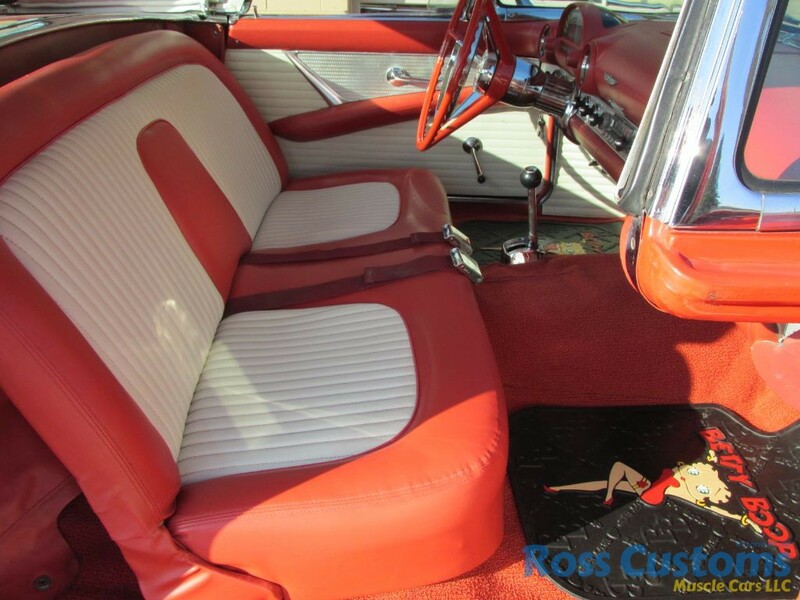 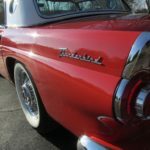 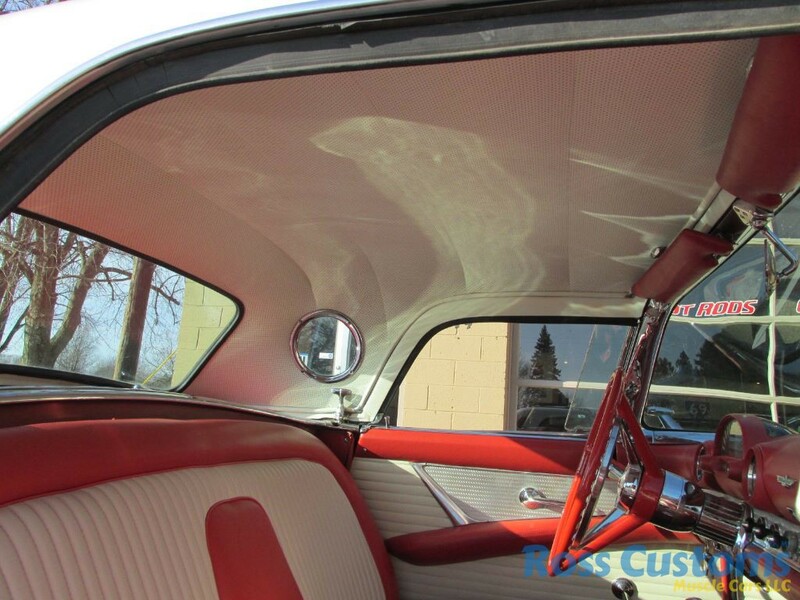 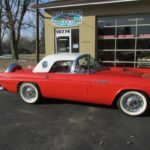 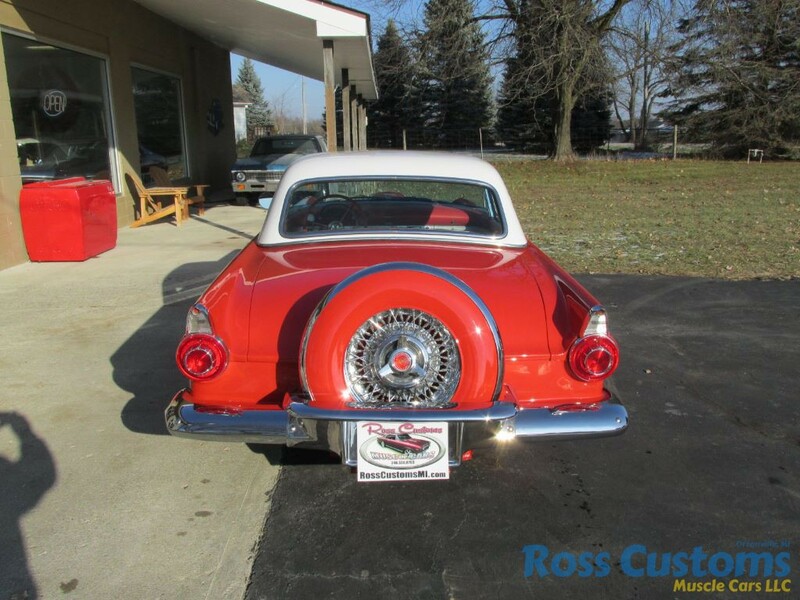 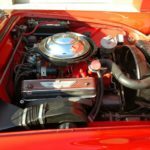 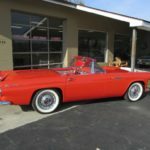 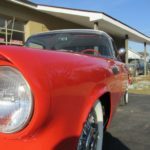 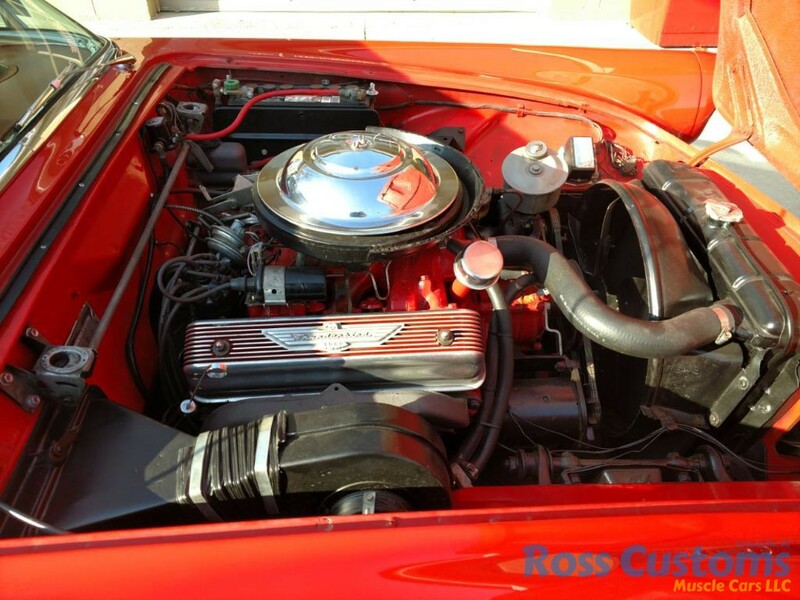 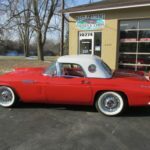 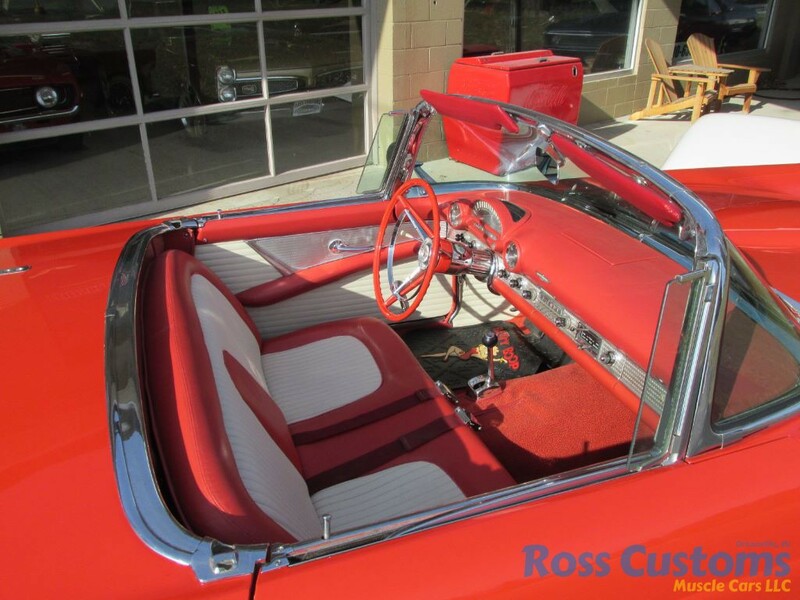 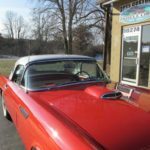 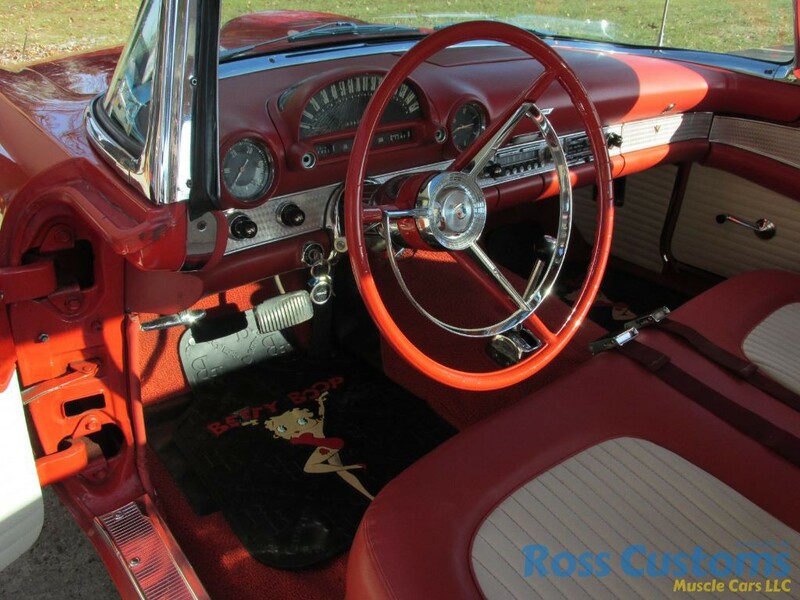 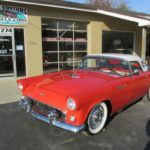 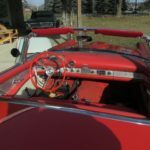 This 56 Thunderbird is a “Blast” to cruise and show.